It’s been a long time coming. For Stages, the development path of Stages LR has been over three years till it started shipping last month, with most of it in the public eye in the most watched bike on earth: Chris Froome’s. Of course, Stages got its start prior to Team Sky with their left only power meter (now rebranded Stages L), but it wasn’t till their sponsorship of Team Sky that the company and its products took off. After all – if Chris Froome can win the Tour de France on a Stages Left-only unit, then it’s probably good enough for you too, right? And as of last month, the company has started shipping this model to consumers. The big question though: Is it accurate? And more importantly for many – does it address some of the connectivity issues that seems to trouble existing Stages users. 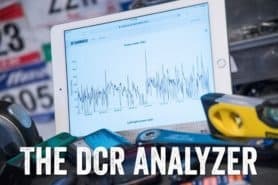 For those questions, I worked through two different Stages LR cranksets over the course of two months gathering boatloads of data. Thus, let’s dig into it. In my case, the Stages LR was delivered as a single boxed product. However, you can actually buy it as an upgrade to an existing Stages Left-only unit (thus making the pair). Meaning, you’re buying the right side. The box wouldn’t likely differ very much, since the majority of the space in the box is for the drive side crankset. Inside the box, you’ll find the drive-side crankset, as well as the left-side (non-drive side) crank arm. You’ll also find a small plug to twist into the non-left crank arm to make things look pretty. Then there’s some paper junk. And finally, the little package of paper stuffs including ANT+ ID cards and a user guide that you can use to start a (very) small campfire to roast marshmallows on after you’re done reading them. Oh, and there’s even a spare ‘o-ring’ in the package too. What you see above is basically par for the course on cranksets, since it’s largely taking an existing Shimano Ultegra crankset and rebranding the box, plopping on the Stages power meter pieces, and then calling it macaroni. 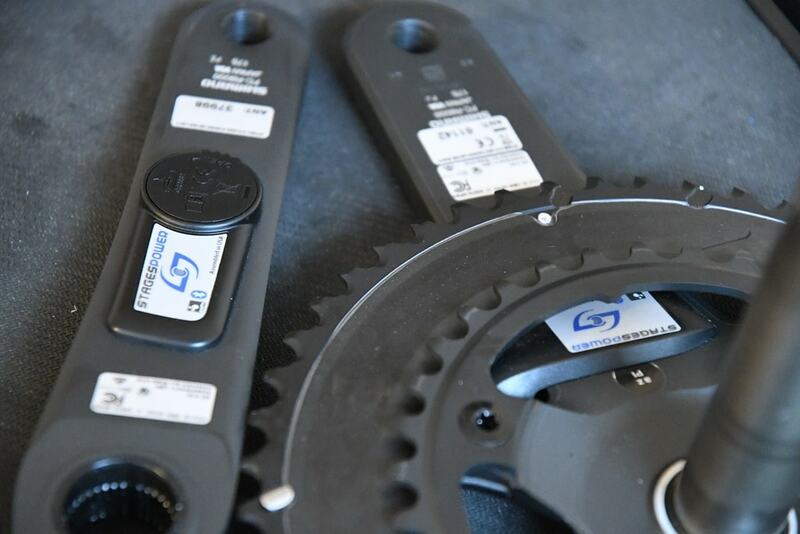 Just like Quarq, Power2Max and others do for cranksets. As with most power meters, the installation will vary not so much on what you’re installing, but rather – the situation you’re coming from. By that, I mean that in the case of Stages LR, if you already have a Shimano crankset on your bike, then the swap to Stages LR could very well take you less than 5 minutes all-in. Quick and simple. Whereas if you’re coming from a different crankset featuring a different bottom bracket standard, then you’re likely in for a longer journey. In my case, I was half-way in between. When I initially installed the Stages LR on my bike I was swapping out from my usual Quarq D-Zero. That had a very slightly different (smaller) bottom bracket standard than what the Shimano was using. So I had to swing around the corner to the bike shop to pick up a different bottom bracket, and then swap all that out. At this point, I was already deep into leveraging the various tools of my bike toolbox – most notably the PressFit installation goods. I wouldn’t recommend buying such bottom bracket installation tools unless you plan to use them frequently (whereas I would recommend plenty of more general tools). After that, there’s merely two bolts to tighten on the left crank arm, attaching it to the drive side. Oh, and somewhere along the way you need to remove the small slips of plastic tape that separates the battery contacts from the coin cell batteries. On the left-crank arm, that’s easily done with your fingers. Whereas on the right crank arm you’ll just need a small screwdriver to open up the battery compartment. 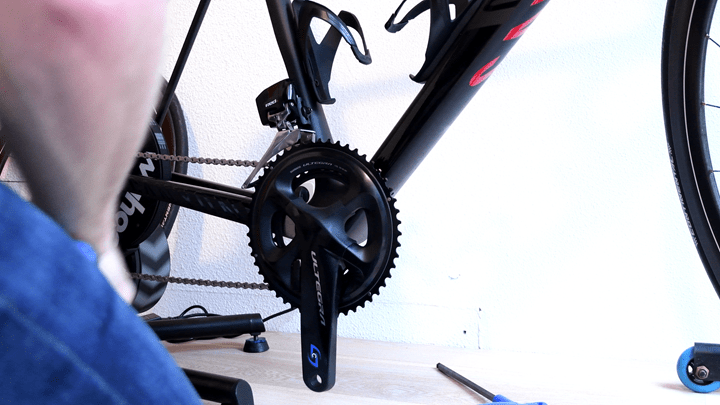 Next, anytime I do work on any bike crankset, I find it a good habit to toss the bike on a trainer and pedal for about a minute – starting easy at first and then building up intensity. Finishing with 2-4 sprints, something like 4-8 seconds each, pedaling reasonably hard. A) If I’ve hosed something up on the crankset installation that causes a catastrophically viral-video worthy break, I don’t plant my face onto the pavement. Instead, the badness is contained to my bike secured atop a trainer. B) The sprints help to settle the crankset, and tighten things up – which is good for power meters. Most power meters require a very short settling period, of which the above procedure will take care of. At this point, you’ll do a zero-offset and you’re good to go. Don’t worry, I’ll cover that zero-offset in the next section. This new status LED is also now found on all new Stages left-only units shipping as of about 1-2 weeks ago. They somewhat quietly clearanced inventory of existing units for this new generation. Next to that status light is, of course, the battery compartment as noted earlier. This compartment, on each side, houses a single CR2032 coin cell battery. Stages says that the system should get about 200 hours of battery life per coin cell battery. You can of course just buy these in bulk super cheaply online, which is what I do (20 for $8). One minor tip to point out (since I just learned this lesson yesterday), is that if you’re travelling with your bike, ensure your bike tool actually has a mini-screwdriver on it. Mine just had a standard one, and the AirBNB house I’m in didn’t have a mini-screwdriver. I ended up using a butter knife to get it open, but maybe something to add to your bike bag just in case you need to swap batteries mid-trip. 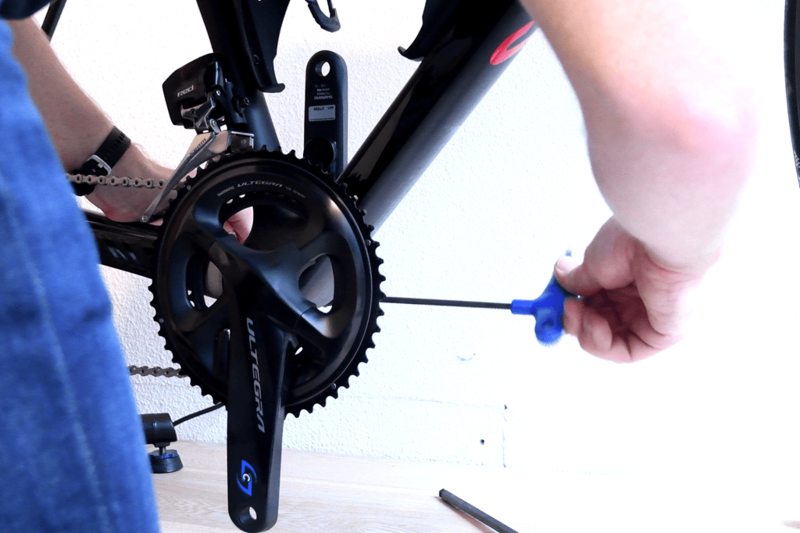 Many other power meters have shifted to using screws as well, though some of those use hex screws instead – which usually match your bike tool. No biggie, just purely a pro tip I figured I’d share. With everything all installed, we’ll need to get it paired up to your bike computer. 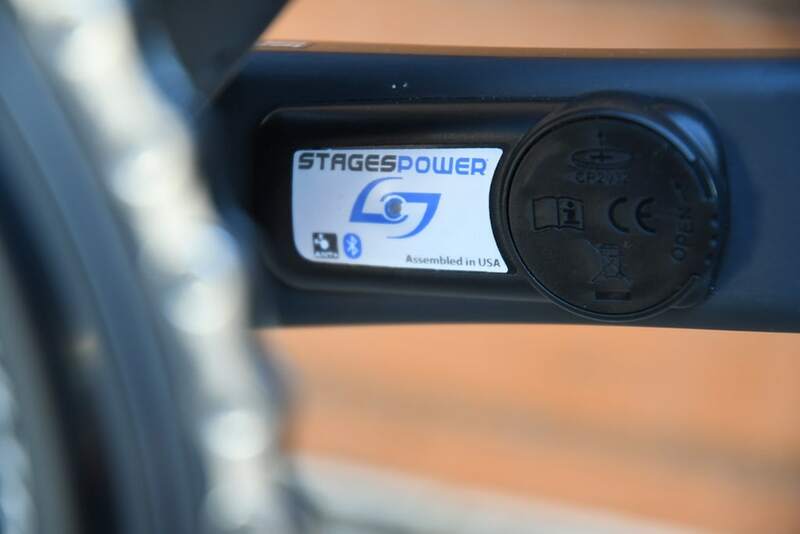 Stages was in fact the very first company years ago to do dual/concurrent ANT+ & Bluetooth Smart transmitting power meters, and that continues today as well with the Stages LR. This means it transmits power over both ANT+ and Bluetooth Smart, within the respective power meter standards. 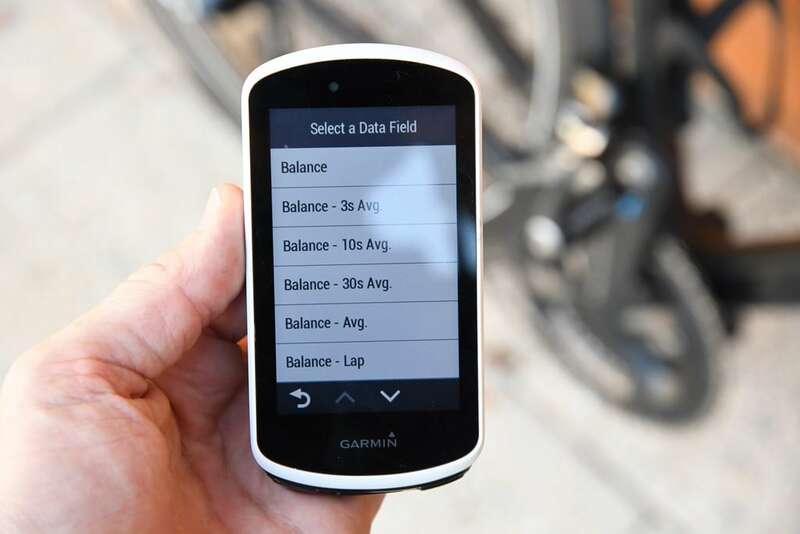 As such you can pair it to basically any device or app that supports power meters. Be it Garmin, Wahoo, or even Stage’s own Dash head unit. Same goes for apps like Zwift, Strava, TrainerRoad and more. Now, I’ll talk at length about connectivity and drops in the next section, so for now let’s just get it paired. In my case, I’ve mostly been using a Garmin Edge 1030 to collect data from it. And in doing so, largely over ANT+, since most folks in the industry would recommend that since you’ll get more advanced data right now over ANT+ versus BLE. So in the case of the above photo, you’re seeing just the BLE channel (because I took the photo after I had paired the ANT+ channel already). Most power meter companies follow that spec of putting the brand name in the Bluetooth Smart pairing ID, followed then by the ANT+ ID number (within the Bluetooth Smart ID). Finally, in the case of Stages, there’s no need to set a crank arm length, and thus your head unit shouldn’t ask you for one. That feature is mostly just used on pedal based power meters. With that all set, you should do a zero offset. On Stages units, you need to ensure your crank arms are pointing straight up and down (vertical). The result in a calibration value that you can keep an eye on. I recommend doing this prior to each ride, mainly so that if something is amiss, you’ll spot it quickly. An example of something being amiss is that the unit either fails to calibrate, or the calibration value shifts massively. Typically you’ll see it within only a handful of digits, primarily based on temperature. Note that if you record via Bluetooth Smart, you won’t get the pedal smoothness or torque effectiveness data, even if recording on a head unit that supports it. Also worth noting is that if you use Stage’s own Stages Dash, you’ll get additional details recorded to the activity file around aspects like battery life, zero offsets, and firmware updates. I’ve long thought that might actually be one of the coolest features of the Stages Dash. I talk about that more in my Stages Dash review. The below is a sample screenshot from Stages, since I didn’t think to capture this data earlier. One of those other purposes is Stage’s high-speed data rate capture, which allows you to record Stages data at up to 64 times per second, in effectively a high-speed data capture scenario. This was rolled out long ago on the Stages left-only cranks, however, it’s not yet enabled on Stages LR. Stages says it’s on their to-do list, but just simply fell lower down the priority totem pole. Since it’ mostly only used for track start type scenarios, it’s not really something I’d consider a high-priority item either. With all that set, let’s dive into data accuracy. I’ve long said that if your power meter isn’t accurate, then there’s no point in spending money on one. Strava can give you estimated power that’s ‘close enough’ for free, so if you’re gonna spend money on something it shouldn’t be a random number generator. Yet there are certain scenarios/products where a power meter may be less accurate than others, or perhaps it’s got known edge cases that don’t work. Neither product type is bad – but you just need to know what those use/edge cases are and whether it fits your budget or requirements. As always, I set out to find that out. In power meters today one of the biggest challenges is outdoor conditions. Generally speaking, indoor conditions are pretty easy to handle, but I still start there nonetheless. It allows me to dig into areas like low and high cadence, as well as just how clean numbers are at steady-state power outputs. Whereas outdoors allows me to look into water ingest concerns, temperature and humidity variations, and the all-important road surface aspects (e.g. vibrations). For reference, Stages LR has a claimed accuracy rate of +/- 1.5%. It also does not require any magnets for cadence, while also automatically correcting for any temperature drift. Both of these are pretty common though on most power meters these days. All of which was tested over the course of about two months, on two different Stages LR cranksets. I’ve ignored the previous test rides I did last August on a pre-production unit. In general, my use of other products is most often tied to other things I’m testing. Also, when it comes to data collection, I use a blend of the NPE WASP data collection devices, and a fleet of Garmin head units (mostly Edge 520/820/1000/1030 units). For the vast majority of tests on the Stages LR I used an Edge 1030 and FR935, along with a bit of the Edge 520 as alluded to elsewhere in the connectivity section. But I also recorded on apps as well, including Zwift. Note all of the data can be found in the links next to each review. Also, at the end is a short table with the data used in this review. I’ll likely add in other data not in this review as well. I’m going to start this review with the most recent data set – a ride from just 75 minutes ago. Why? Because it’s the ride with the freshest firmware (just yesterday’s) that appears to resolve a bunch of little quirks I’ve seen/reported over the last two months. In effect, it’s the first time that all the stars have aligned. Which isn’t to say previous rides have produced inaccurate power, or that Stages was even at fault. Rather, various rides had various connectivity things or other power meters go crap on me – but I’ll get into that later. As a general rule, I like to have no less than 3 power meters in a test, so when I ‘only’ have two, it bugs me a bit. I captured data across a slew of head units, but notably captured Stages LR data on three different units – an Edge 1030, Edge 520, and FR935. I did this concurrently across both ANT+ & Bluetooth Smart, for reasons I’ll get into later on in this review. As you can see from the overview, the units tracked virtually identically across the entire ride. We can dig into one of the points from a stoplight where I go from 0 power up to 400w pretty quickly. Note this is smoothed at 5-seconds, merely to make it easier to see. Not that all power meters within +/-1 second of each other show the uptick in power. As is always the case, it’s rather difficult to get multiple head units to precisely align due to transmission and recording rates, as you see here. The one thing you do notice though is that on the BLE connection to the FR935, you see those two little blips. Those are technically drops. It’s just that when smoothed you don’t see them. But what’s weird is that they aren’t full drops – rather, they drop by 50w or so (versus normally a drop is considered 0w). Not entirely sure what to think there. But from my standpoint that technically falls under connectivity issues rather than accuracy (though, the net results impacts accuracy). But I’ll cover that separately in the next section in this review. Equally important, there’s no droppage issues from an accuracy standpoint after I conclude the sprint, which can sometimes be a sticky point for power meters. If we look at cadence for this ride, that too looks identical across all the data sources. There are some little blips on the Vector 3 cadence while I’m semi-stopped. It’s almost as if it picked up the slight crank movements I did when moving forward on the bike a bit at the 33:25 marker (I was on the side of the road texting The Girl that I had hit my turnaround point, I moved halfway through that again to get further away from the road). B) Then I significantly increased the RPM to about 170RPM, briefly. As you can see – the units tracked very nicely all the way up to about 160RPM, at which point it appears I lost the Stages unit briefly. Most power meters have some sort of top-out point, usually in the 160-190RPM range. Stages lists 220RPM as their top cadence. In my case, it’s also plausible that since I only spent a few seconds at that high level of cadence, it could just be recording nuances causing the drops. The cutoff point here appears to be 20RPM. Below that and the cadence drops out, above that and it’s just fine. These limits are perfectly acceptable/reasonable/logical in my mind. Also, note that power values stayed constant with the Garmin Vector 3 throughout. I was also atop a trainer that transmits power, but the power firmware is beta there and wasn’t quite as stable as I wanted – so I removed that from the graphs to minimize confusion. As you can see, throughout the sprints things aligned quite nicely against the Garmin Vector 3 – virtually identical save one drop at about the 2-minute marker (but this was prior to the firmware update to address that). But let’s head back outside, it’s more interesting there as always. Part of my challenge recently is that previous to the firmware of two days ago, Stages was experiencing drops depending on how you connected to it. Meaning, if I connected via ANT+ on certain head units, it’d drop the connection (but not other head units). Using BLE in theory made it better, but in reality I found it made everything worse (both ANT+ & BLE). So I ended up with some rides whereby the data when transmitting was perfectly accurate – but would be blemished by the occasional dropout. You can dig into the full file above, but it’s basically the same for the remainder of the ride, the three power meters are almost indistinguishable, despite boatloads of ups and downs on power (this was a river loop where there’s a lot of changes in power). There’s some slight offsets between the units, which makes sense as, in theory, the PowerTap G3 should be the lowest and the Garmin Vector 3 the highest. In this case, about +/- 3.7% from the Stages centerline, which would account for drivetrain efficiencies as well as any accuracy differences. And then there’s this sub-hour long ride (which lacks a functional G3 hub as it had to be replaced), but you can at least see how it compares against Vector 3 on a mean-max graph. What you notice is very slight differences/offsets when you get to the sub-10 second power, which is pretty common on these graphs. Prior to these rides, there were other firmware issues whereby the right side of the unit would output slightly lower power values (1-3%) than it should have. So while the left side matched perfectly to Vector 3’s left side, the right side dragged down the picture. On these rides (if using an Edge 1030), I didn’t experience any drops. This issue was fixed back on Jan 26th. Given it’s been fixed, I’m not going to re-analyze those rides, since we already know the story there. Now, I’m going to talk about droppage in a second – but on the accuracy front I’ve been seeing good things since late January – so I think we’re definitely good there for both power and cadence. The multitude of data sets above shows that pretty easily as well. Back a year or so ago, there were media reports that Chris Froome had made an interesting off-hand comment when responding to a reporters question on why he used the older Edge 810 versus anything newer (the team was otherwise outfitted with Edge 820’s last season, at Team Sky’s – not a sponsors – expense). He noted that he had found that the ‘newer Garmin’s had data drops’. At the time I found this a peculiar comment because it just wasn’t something people were seeing in ‘real life’ on road bikes. But now in looking back at things, I get it: The real wording should have been “I was seeing drops with Stages LR”. But of course, he couldn’t say that – Stages was a sponsor. Garmin wasn’t. When I first started this testing process in December – I quickly saw those same drops as well…also on newer Garmin devices. Specifically in my case the Edge 520 and FR935. Both highly popular devices. And neither are devices that have ever dropped on any other power meter for me (I use 2-3 Edge 520’s per ride, connected to 2-3 different power meters per ride); nor are drops even remotely common for either unit on other power meters. So in effect…if it quakes like a duck, it’s probably a duck. I went back to Stages on this and they did some more digging. In fact, the topic of Stages and drops is as old as power meter time itself. What I was surprised about was that this was somehow still a thing. Still, I let them dig. In doing so they showed they could reproduce Edge 520 drops like I saw relatively easy, and that it was stable on the Edge 1030 (which I saw too). But to me that’s not really an acceptable admittance. 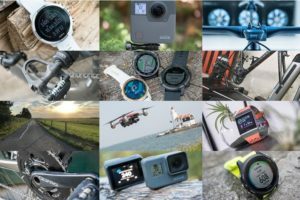 Again, regardless of whether Garmin is at fault – nobody else has this problem (sidestepping the mess that is the Fenix 5/5S connectivity debacle, which I don’t use). On this old dataset, I highlighted each of the drops in this 41-minute ride (15 total drops on the Edge 520). Note that the Stages LR already was broadcasting at a higher rate than existing Stages left-only units (ignoring the new left-only units they just started shipping a week or two ago, which I’ll post about separately shortly). That update for the LR units was issued as firmware 1.1.8 and was released two days ago and incorporates the changes noted in the above two paragraphs. Now you may be saying – how do you know the dropout issues are fixed? Well previously with the dropouts they manifested themselves pretty darn quickly. Perhaps every 5-8 minutes on ANT+, and almost instantly/wonky on Bluetooth Smart (I have some crazy ugly charts from that). I could repro those situations on every ride if I wanted to since December. Now on both of today’s rides, it’s almost perfectly clean. Stages said they found two specific issues, which they said was related to power handling on the communications stack. The proof appears to be in the pudding – no full drops (just one brief jitter that may or may not be Stages’ fault). I will note though that the broadcasting power on Stages’ units (including the LR) continues to be substantially lower than other ANT+ sensors. For example, take a look at the RSSI values on Vector 3 (ID 324103) and Stages LR (ID 34770) side by side. A higher value is better (meaning, –21 is better than –35), the closer to zero the better. On the left is what happens if I place the test WASP device on my out-front mount, and then to the right is what happens when I place it on my stem. Even when placed directly atop the bottom bracket (in between the crank arms), Stages is still significantly lower than Garmin Vector 3. While in my tests the signal strength now seems strong enough for my head units, where this matters is if your specific bike/body configuration puts it on the edge of reception, then having that bit extra means the difference between good and bad. That’s historically where Stages got itself into trouble, primarily on triathlon/TT bikes, mostly for people with wrist-worn watches, due to body/bike interference. Since I don’t have a triathlon/TT bike on this trip – I can’t test that at this time. Of course, I’d love to hear anyone’s results on that in the comments (just be sure to be on 1.1.8 first!). 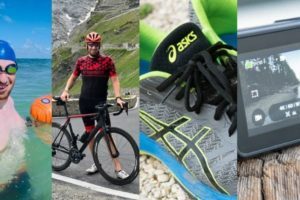 With so many power meters on the market, your choices have expanded greatly in the last few years. So great in fact that I’ve written up an entire post dedicated to power meter selection: The Annual Power Meters Guide. I refresh that annual guide each fall, and in this case that was November – which is inclusive of all the power meter players on the market. The above-noted guide covers every model of power meter on the market (and upcoming) and gives you recommendations for whether a given unit is appropriate for you. There is no ‘best’ power meter. There’s simply the most appropriate power meter for your situation. If you have only one type of bike I’d recommend one power meter versus another. Or if you have different needs for swapping bikes I’d recommend one unit versus another. Or if you have a specific budget or crankset compatibility, it’d influence the answers. I’ll be publishing a pricing update in March, covering where pricing stands for the year, though I don’t expect too many shifts between now and then. Nor do I expect much in the way of additional new entrants not already known/released. After a two month journey on Stages LR, I’m finally at the point where I’m happy with the results it’s giving me across all fronts – both accuracy as well as connectivity. Of course, for many consumers, those are kinda considered baseline starting points (or, I hope they are anyway). The next question is pricing. 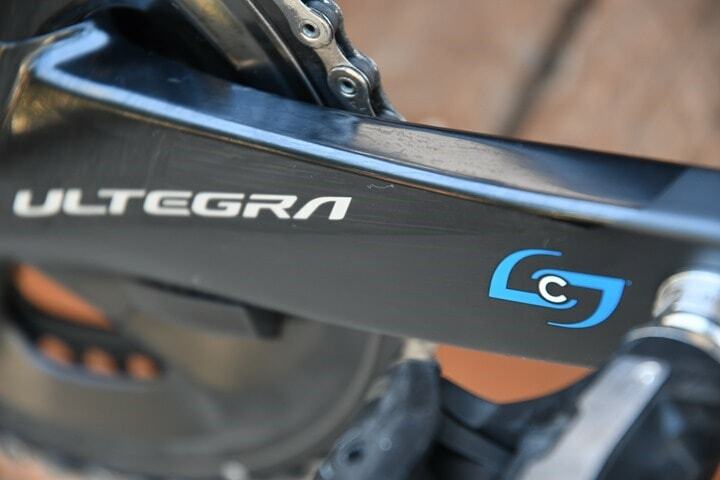 In that realm, Stages sits at $999 for the Ultegra edition I tested (inclusive of the full crankset). That’s identical to Pioneer’s offering at $999 as well, and the same as Garmin and PowerTap with their pedals at $999 (and Dura-Ace at $1,299 also matches Pioneer). All of which give you distinct left/right power. There are nuances to each implementation though from a tech standpoint. Pioneer has high speed and detail data metrics, but only on their platform (and lacks Bluetooth Smart connectivity). Garmin gives you less detailed metrics than Pioneer, but on a more widely adopted file standard (for example, WKO4 can see the data). 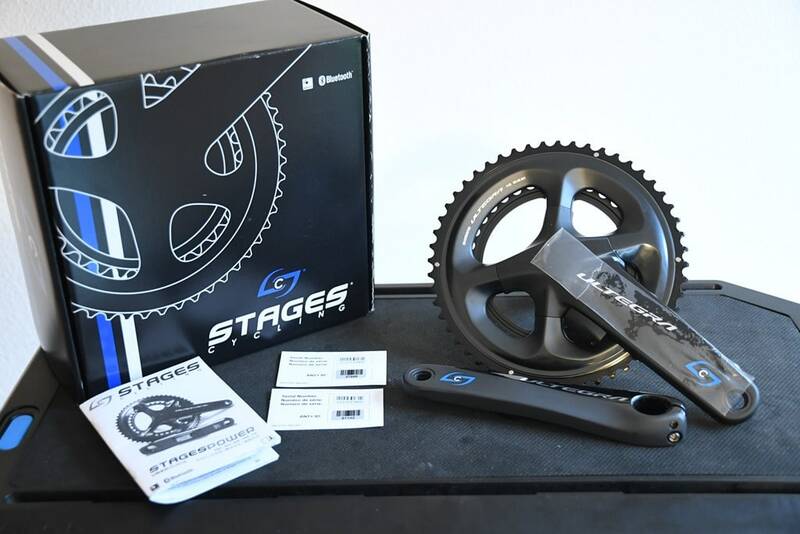 Stages gives you a full crankset, so if you don’t want to deal with changing pedal types or just prefer crankset power meters – then that’s a pro for them. Like I said in the previous section – there’s no right answer here, just solutions for your specific requirements. The end of which is that I’d have no problem riding a Stages LR unit on my road bike at this point with the latest firmware. I can’t speak to a triathlon/TT setup at this moment, but hopefully others can chime in. Historically I never had issues with my Stages left-only units and connectivity on my tri bike, but as noted, connectivity issues when seen seemed highly dependent on your specific bike and body. In any case – thanks for reading – and if you’ve got specific questions feel free to drop them down in the comments below – happy to try and track them down. I’ve partnered with Clever Training to offer all DC Rainmaker readers exclusive benefits on all products purchased. By joining the Clever Training VIP Program, you will earn 10% points on this item and 10% off (instantly) on thousands of other fitness products and accessories. Points can be used on your very next purchase at Clever Training for anything site-wide. You can read more about the details here. By joining, you not only support the site (and all the work I do here) – but you also get to enjoy the significant partnership benefits that are just for DC Rainmaker readers. And, since this item is more than $49, you get free 3-day (or less) US shipping as well. While you can’t get Stages on Amazon, anything else you pick up on Amazon helps support the site as well (socks, laundry detergent, cowbells). If you’re outside the US, I’ve got links to all of the major individual country Amazon stores on the sidebar towards the top. I have both Garmin Vectors and Stages. Both about 2-3 year now and the Stages dataloss has been huge and specially indoors. During the winter when I use a bike on a trainer there is almost all the time data loss with stages if other “radios” are turned on. The more there is radio noise (WiFi, TV, etc) the less comes through. Have not tested the signal strength but I saw the correlation quite soon. After starting to stream something in my laptop, the power data was interrupted a lot. Outdoors ofcourse thats not a problem. Since the two sides of the Stages need to be linked, does it show up as a single power meter in head units and Zwift like Vector3? Or is it two sources like the P1? For ANT+ it shows as a single unit (you connect to the left one in fact). If you want to use BT, that doesn’t work, so you have to connect to both left and right (which is not supported by Zwift AFAIK). 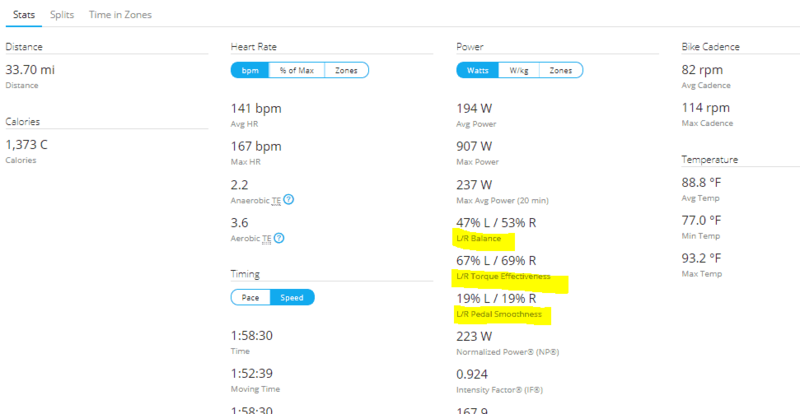 For me, my stages LR shows up as two Bluetooth power meters in Zwift but because they are linked (performed first once in the stages app), the left unit total power shows the sum of the left and right output and the right pm only shows total right power. You just select the left unit on Bluetooth with iOS zwift. will it be available for Campagnolo? I`m also interested to know what about Campagnolo options? I use Stages for Campy Record. My understanding from Stages is that the LR power meters will be available for Shimano only. I have tested at least 4 stages (2 Ultegra gen 2 slightly different in appearence, 1 C’dale Gen1 and 1 Sram Gen 1) all on bikes that were installed on my Elite Direto and I generally saw a strage differentiation in power outputs. 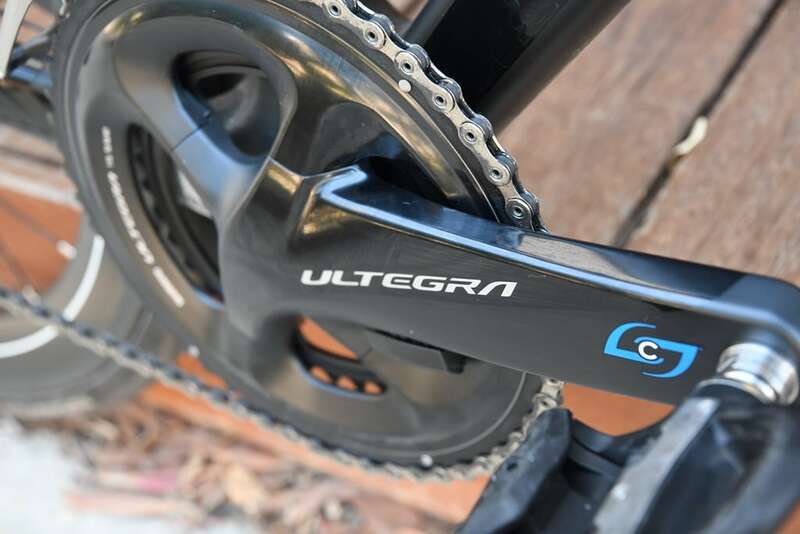 One of the Ultegra Stages (mine) is roughly 10W below the Direto: tends to match at low cadence and tends to get farer at high cadence (107-110 rpm). the CDale Stages is reading quite consistently 20W over the Direto. 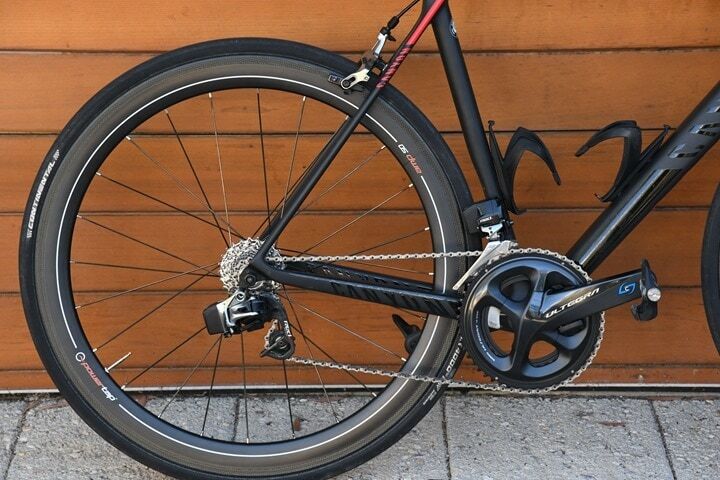 Did you compare the various Power meters of this review with the Direto? If the LR has basically two PMeters (one per side) and it starts to tell you that you’re unbalanced how do you figure out if that is your leg or if it is the power meter accuracy? I’m asking this because you can buy the right side to pair your existing left side, but across the left sides I have tested I see significant differences one another. 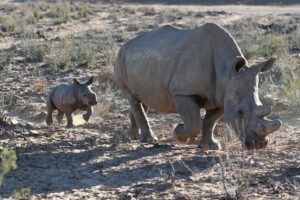 thank you so much for the article, I saw the same connectivity issues and I started to think it must have been a Stages downside and now I feel that my impression is confirmed. I did some early rides on the Direto way back when, but nothing with good data (pre-firmware updates I noted). Still, doing successive trainer rides with different power meters is a really tough nut to crack on a lot of levels. Partially because you end up with different warm-up periods on the Direto, which could also impact left-leg balance issues. Thank you so much for the feedback anyway Ray. I would like to have a third PM to try out, and I could eventually find someone who could kindly lend me a Vector possibly, but I had performed a fair number of rides with the Ultegra Stages against the Direto, and the C’dale Stages against the Direto and the results are quite consistent (with hte exception of few reco rides in which data from the different PMs got closer for 20-30 minutes): the C’dale exceeds the Direto by a rough 10%, except at 50-55 rpm in which they get fairly close (C’Dale over the Direto by 5-7W), and the Ultegra is slighly below, usually by a 10-15, except at 50-55 rpm where they seem to align with few W difference. The difference between the two PMs is reflected also in outdoor experience: the C’Dale Stages gives me out higher values than the Ultegra one, in respect of the similar hear rate and effort perception. Initially I didn’t realized the difference could be in the PM readings, but now I undertsand that that feeling of be feeling really well was actually the PM giving out higher power values at same HR and effort perception than what was doing the Ultegra. They are definitely giving out different values, and what I wonder is how can Stages give you a LR power meter which works basing its reading on two different PMs, and tell you what is your balance, if there could potentially be so much difference between the reading of two distinct units. The answer is simple. There shouldn’t be such big difference as you’re describing. It’s unacceptable. One of your power meters is not working properly. Static torque test could tell you which one is lying to you with reasonable confidence. is the static torque test something I could do by myself, or will I need to ship the unit to Stages, given that they accept the “claim/request”? You can do it yourself. In mobile app there is option called “high speed” which allows to check torque applied on the crank (although last time I checked for some reason it was only available in Android app, and disappeared from iOS version, but maybe it has changed). 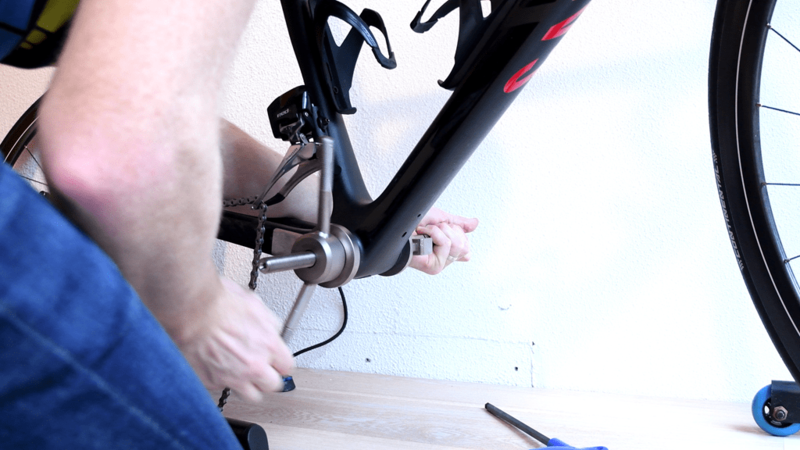 With ability to check torque on mobile app you need to put crank arm in 9 o’clock position, exactly parallel to the ground, block the wheel, and hang known weight from the pedal (20kg for example). 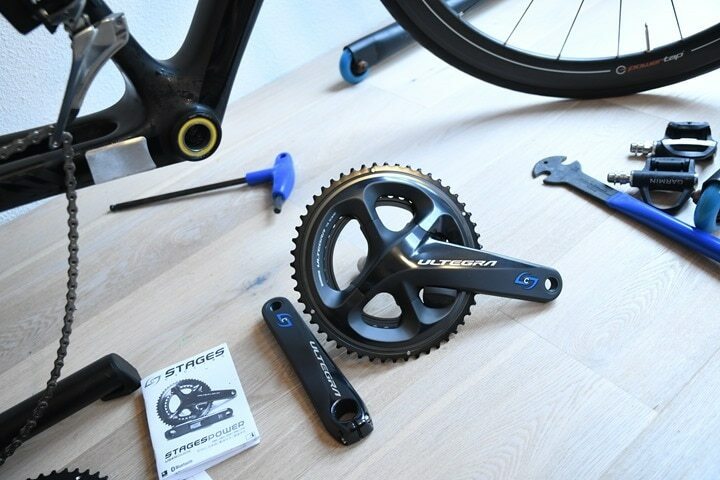 You can calculate torque your power meter should report for given weight (torque = weight (kg) * 9.81 (gravitational acceleration, m/s^2) * crank arm length (m); so for example: torque for 20kg weight and 172.5 mm crank = 20kg * 9,81m/s^2 * 0,1725m = 33.8445 Nm). Then you can compare expected value to the reported value. I’ll let you know as I’m really curious to try this out. I tried last night with a big water bottle (about 5kg) but for the moment results are not conclusive. I fear that 5 kg are not eonugh to reveal measurement issues. I’d love to try with 20kg or my own weight but at that point comes the problem about how to fix the bike and apply the load without too many shakings/unbalances: I have no idea of what kind of weight I could find (that I could hang from the crank arm without touching the ground), and if the weight were me then I don’t know how to stand still without any move on one single leg, I’d tend to move continuously trying to find balance and as far as I saw that is shaking the reading as well. I contacted Stages Support about this and for the moment they asked pics of the app while connecting and zeroing the sensor, and pics of the battery compartment. I’ll keep you posted on the updates if you like. That’s much more complex than what i thought. Let’s see if Support sorts this out in a different way..
just wanted to let you know that Stages replaced the unit, they suspected issues do to the calibration value of typically 835-845, and once received the unit was replaced free of charge with a Stages L.
The new one actually calibrates at about 890 roughly and values are more in line with the Ultegra one. By the way signal seems to be a little better than before (disconnections occur, especially since I have a lot of wifi connections very close to the garmins I use to read the stages, but I’d say connection is slightly more stable than with Ultegra). I updated the firmware and, strange enough, the procedure says it didn’t complete succesfully but now the firmware indicated by the App is the new one and says there’s no new upgrade for the unit. Let me say TOP CLASS for the Stages customer service: I experienced issues, this is true, but I always got new units for free back from their customer service. – calibration seems to be inconsistent because sometimes it agrees with the Neo very closely (within 1w at 2/5/10 min peaks). – riding indoors on the Neo the power balance appears to be sensible when Stages agrees with the Neo. Say 52/48 or better. Other times I think it over reports left leg power. I read your comments and I have a question on your three points at the end: why do you consider that calibration is inconsistent? I’d say it is a point related to power readings that at times is very close to the Neo while other times it is those 10w lower. I don’t understand the third point. What do you mean when you say that teh power balance seems to be sensible when Stages agree with the Neo? I am very interested in this, especially your third point, because the dual-sided Stages (which I now own) has been providing power readings significantly below the single-sided Stages I own, and has been telling my my L-R balance (outdoor rides) is as off as 65-35. I have never been injured, and I don’t “feel” that lopsided. Thanks for your prior posting and in advance for your answer. I was trying to say that the power balance is sometimes off and appears to vary between calibration runs. As you said the Tacx Neo doesn’t report power balance so I’m just looking at consistency from one ride to the next. For example, I did a 2 hr ride today with a balance of 51.7/48.3 which seems sensible given it was a steady ride (I’m very close to 50/50 at threshold). Other times I’m constantly seeing 10s average values of 55/45 and end up with 54/46 or worse. Doesn’t seem right to me. Btw, it was much worse before the firmware update mentioned in the review. On the old firmware I’d regularly see a balance of 60/40 which absolutely didn’t reflect what I was doing on the bike. Do you have a sense of what it was/is when balance is off? I’m not sure exactly what the problem is. I’m guessing that one of the cranks is returning a relatively high/low value following recalibration. Given the variation I’ve seen when comparing power numbers to my neo I think this is entirely possible. What do you see when you calibrate your stages pm via the phone app or garmin head unit? I’ve noticed that the values returned for the LH crank are somewhat consistent… in the range 899-902. For the RH crank I’ve seen anything from 899-908. But at the request of Stages tech support, I took pictures of the zero reset page the last two rides. They were: (891,907) and (889,905). I don’t really understand these numbers and assume (?) there’s not a problem that the first (left?) and second (right?) in each pair are somewhat different. Just thought I’d let you know that I updated unit to latest firmware (v1.2). It solves all of my issues. Zero reset values have changed somewhat following the upgrade… from 900/903 ish to 892/902. Slightly worrying but it works. 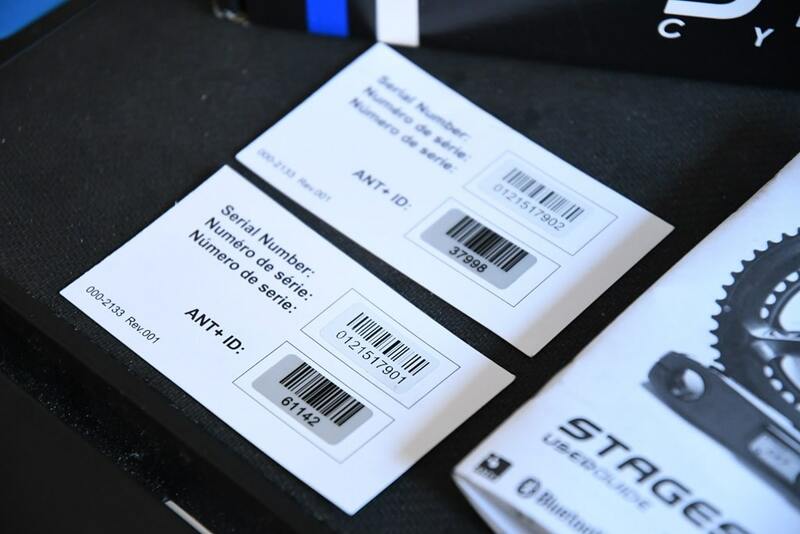 Power numbers now match Tacx Neo exactly which is convenient. Power balance favours right leg a little more and seems to better reflect reality. If you repeatedly run calibration you get the same zero reset values. Completely off topic but I love the sight of a good looking and cleaned chain! Ironically, 45 minutes after I posted this review, while starting to swap out crankset to make room for Shimano power meter tests, existing chain is too short. Had to buy a new one today (will eventually put existing one back on when I get back to Europe). What about the claimed six times stronger signal ANT+ from the latest generation compared to the previous? It obviously still have a limited signal strength compared to other PM. Exactly why I’ve now got a small pile of Stages units sitting in my desk – old and new…tests coming up soon in another post (including indoor and outdoor signal and position differences). Looking forward to reading about it. Is it possible that you include signal strength in all coming PM test? Maybe there is a advantage with rechargeable batteries vs coin cell in signal strength comparison? Do you know if the rssi value you showed is from 0-“-100” or from 0-“255”? “The weakest value for RSSI would be -128. It is a signed 8 bit number. Note that in my case I was using ANT+ for both signal measurement pieces. Any insight into upgrading an older left only PM to the full left/right? You mentioned this briefly in the unboxing but didn’t come back to it. Yeah, I’ve gotta get/find the full compatibility list. I believe then it’s as simple as just ‘linking’ the two via the app (you can see the link button in the screenshot in the review). I have just started using a Wahoo Element, with Stages L power meter only. Will it work if add the LR system? I have started using a Stages PM on my TT bike last summer and had horrible connectivity issues with my Garmin 500. So this year, I’m looking into ways to correct this. Should I consider a head unit upgrade (Looking at the Dash), or would the purchase of the crank side of the Stages LR be a more worthy investment? I am also pondering moving my head unit from in front of my BTA bottle. I wouldn’t be confident just changing head units would fix it to be honest (especially on a TT bike), though, some folks have had better luck on Wahoo BOLT, specifically if they paired the BLE side. Quite interesting Ray, I wasn’t aware that it was even possible to pair the Stages with the Wahoo BOLT. When I search for my stages on my BOLT I only see the ANT version, and I even reached out to Wahoo who said that they only support ANT for PMs, with only a few exceptions for PMs that don’t do ANT. Am I missing something? 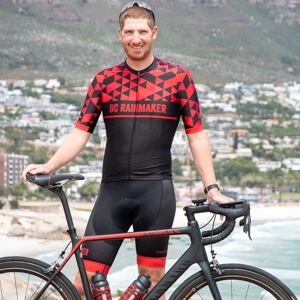 By default Wahoo enumerates power meters via the ANT+ side first, since they know that by and large that produces better results from a compatibility standpoint. That said that change is semi-new, since they used to allow either/or. So does this mean that they no longer support either/or? Power meters tend to be much more buggy over Bluetooth due to a lack of standard protocols. That is why, with Stages in particular, the ANT+ connection is preferred. I will pass all of your feedback on to our development team, along with the request for choosing your connection type. Please let me know if there’s anything further I can do to help and enjoy your weekend. Correct, they used to. You can see it back in some of my reviews actually of those devices. Can you explain the following logic in pricing? For what reason is the extra charge for customers who already bought the left only in the past? I think the idea was to follow what most other companies do, in terms of charging a slight premium for not buying initially together. Though, if I remember correctly 4iiii did actually have a time period where they allowed existing customers to upgrade to right-side with a slight discount (that basically made it ‘even’). >> if I remember correctly 4iiii did actually have a time period where they allowed existing customers to upgrade to right-side with a slight discount (that basically made it ‘even’). That was the promise, but AFAIK has not happened *yet*. Last time I inquired with 4iiii about a month, they said sometime later. I can confirm Ray’s findings on my Stages LR after one ride on firmware 1.1.8. Previous rides had shown 14+ dropouts on my Garmin 810 and Garmin 935. Moving the fan and putting the watch on my water bottle cage helped some on the old firmware but still got dropouts. On the new firmware 1.1.8, I tested the 810 out front of my tri bars, with a fan 3 feet in front of that, and wore the 935 on the inside of my wrist (which is how I always wear it while riding). There were no dropouts of power or cadence over 45 minutes of riding! Very pleased now! The link above is to the release notes for the iOS app, not the power meter. Stages LR FW 1.1.8 release notes are found here: link to goo.gl and is live for download via the Android or iOS app. Thank you. But the power drops are a problem for left-only units too. I hoped they would have a firmware fix for those. I continue to see drops on the L only unit too. I ride a large frame (61cm) with an 820 sitting on an out front mount and see drop outs routinely. Stages reports only 40% signal strength when troubleshooting the issue. When I move my head unit to the stem the drop out improve. Not ideal. My next bike won’t have Stages. The two specific firmware changes I noted above (in 1.1.8) are only going to the latest generation units, which basically means Stages LR, and Stages L (or R) units made after mid-January (they’ve gotta have that LED light on them). I’m not sure if the limitation is tied to different chipsets being used or what. Is LR upgrade available only for new Stages L power meters or is it also possible with Gen 1 and Gen 2 units? There’s a list around somewhere on which specific units are compatible for upgrade, I’ll see if I can find it again (and ensure it’s correct). 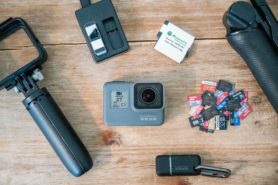 I read this review and upgraded my stages left only 2017 firmware last night. It showed up as an option through the iOS app. Haven’t tested it yet. I had connectivity issues with the stages on a garmin 820 but my 510 worked fine with Stages most of the time. I did get some drop outs and erroneous readings in certain area of NYC. I also have power tap g3 hub and have never had any connectivity issues with it. Nice review Ray, interesting that the old connection issue was back to start off with. The price point is interesting, I think they need to undercut the pedal systems by a smidge. Did I miss the unit weight? Total added weight is 35g (inclusive of the two pods). I’ve worked in various bike shops since stages has been released to the public. At this point, I’d literally say that the return/RMA rate of stages is the highest of any single product i’ve seen. Not only do I not know anyone on their original stages, I know quite a few that are literally on their 3rd or 4th warranty. Even the “newer” ones just plain and simply do not work worth a #$^^. It’s like they are beta testing on the public. They are also starting to get stricter with their warranty, to the tune that we just point customers in other directions (quarq, pioneer). Next time you see someone with a stages PM ask them if that is their original. ok sorry for the rant. It just gets old. Maybe they finally figured it out? I have had a Stages Gen1 Ultegra 6800 Power Meter installed since May 2015 on my Specialized Roubaix. The only problem that I had in the last three years was a loose battery cover. Stages support was responsive and shipped out a new cover, O rings and installation instructions. I have been waiting for Ray’s review of the Stages LR so that I can order and install it on my new Trek Emonda DuraAce Di2. 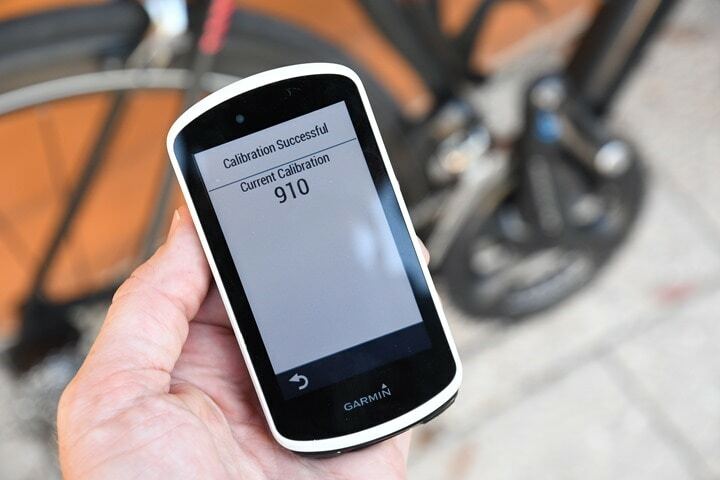 Glad to hear about the 1.1.8 firmware to resolve some of the dropouts since also use a Garmin 520. I think Stages was pretty upfront on the issues they had in their Gen1 units in terms of units dying, almost exclusively due to water ingest through the battery cap. From what I’ve seen, that’s gone down pretty dramatically with more recent units. My 2015 Stages is still alive and kicking. Of course it has rather bad signal strength, it’s water resistance is almost non-existent and I had to ghetto-modify battery compartment to hold the battery confidently in place… but it’s still working and is as accurate as it can be (torque values are exactly as expected for known weight). The only specific thing I need to do to keep it alive is drying it out after wet rides. Yes. I remove the battery and let Stages dry like a pair of bib shorts or jersey. Gen1 Stages owner here, and I too have hacked the battery compartment. Since the battery lasts for quite a while, easiest solution was electrical tape and a cable tie to ensure integrity. A lot less hassle than complaining about it, etc. I just wish my Edge 1000 was better at telling me when the battery is low… I don’t waste a data screen on it, and usually find out when I start reading zero watts. I’m nervous about investing in a R-only upgrade to my gen1 unit, though. It might be more cost effective, long term, to just get a new pedal-based dual-sided meter. That way the warranty clock is reset, etc. I’m on my second Stages (Left only) gen 2 power meter – previous returns related to water proofing of the battery cover and power dropping on my Fenix 3 and Garmin 800 devices. As far as the power drops, I gave in and simply use my Garmin 800 (which is mounted) and the power drops are tolerable (when compared to the Fenix). I’ve been riding inside on TrainerRoad for the last month getting ready for an early season IM race and noticed that my power levels seemed low when compared to my outdoor rides. Also, several of my buddies with similar FTP’s have all been riding TrainerRoad and reporting higher NP at much slower speeds (when we do the same rides). Today I switched TR to virtual power and compared the normalized power produced by TR vs. the Stages. TR generated a NP of 172 watts on a 2.5 hour ride, while the Stages generated 142 watts. I had done the same ride a week earlier and it was much tougher as I was holding close to 170 watts based on the Stages (and my heart rate data was much higher). The issue is that outdoors the stages seems to produce power numbers that are reasonable (based on comparisons with riding partners) so my indoor training numbers with the Stages are all but useless. I have read somewhere that Stages has problems indoors with interference from other electronic devices. Any suggestions? I am ready to give up on Stages. It sounds like you’re using Virtual Power, which is basically just an estimate (it can be good, or horribly bad, depending on a wide variety of things…in general, it’s not dependable though). Interference doesn’t cause lower power numbers – it just causes gaps in the recorded data. Depending on how you have your Garmin configured (to include zeros or not), those gaps can bring down the averages. NP gets a bit more tricky than that – but it too would be impacted. Are we talking a few drops for a couple seconds or less per session (in which case, negligible impact). Or frequent longer duration drops? Yeah, in that setup you’re likely to see pretty high variance on the KK and virtual power. A long time ago in a far away galaxy I actually did some fun tests on my Kinetic inRide review showing just how much the accuracy difference would be in that exact configuration. I’d stick with the Stages numbers, albeit they may be slightly skewed by left/right balance aspects, but not as much as the trainer numbers. Just get the Stages phone app, it displays battery life. As usual Ray you have provided a great read! I love to see “if it’s possible” what the captured power reading differences would be with left only vs LR version for the average rider. I know that the LR is more accurate since it’s not just doubling the left power measurement. But what does that actually translate to in real life? Funny enough, the DCR Analyzer links actually show this breakout. Though, I don’t have any automation now to show what things like Avg Power/NP/TSS/etc might do/change. Interesting idea to add. Hi Ray. I don’t suppose you did any tests to see if a helmet mounted camera can pick up the power data? Currently my helmet mounted Virb 360 doesn’t pick up my left only stages (it does if the camera is closer). No, didn’t do any helmet tests, sorry! +1 to the question on whether Stages are bringing LR out on their Campagnolo sets? Have they mentioned anything in your discussions re: this? Hi Ray, surely crank based power meters are dead in the water for the general consumer and to release a dual sided meter at this stage in game seems like a bad move with all the pedal options on the market. Should we care about crank power meters anymore? I think it’s kinda like everyone saying smartphone cameras would kill DSLR’s, or that Apple Watch would kill Garmin. In reality, both are now stronger than ever before. There’s a lot of people (a ton) who just don’t want a pedal based power meter. Some for concerns that are largely unwarranted, but some for legit reasons like different pedal types (like Speedplay). The downside of pedal based power meters for a bike used in local racing seems to be cost of replacement or repair when the inevitable crash happens. That led me to stages for the racing bike. For my other bike without power I’ll probably wind up with pedal based power (garmin) due to using campagnolo and not loving stages so far. Powertap g3 was perfect for my winter training bike. I don’t know any bike racers on pedal based systems since in criterium racing pedal strikes are common. Damaging your PM would not be good there. Personally I’ve also always ridden speed play and there is no pedal option for them, lastly swapping cranks between my road and tt bike takes no longer than changing pedals. It’s really easy. In short I see no reason to buy a pedal based power meter. where i come from, ducks don’t quake. unless it’s having a seizure. in which case it’d need to go to a hospital. Hi Ray! Great review, love it! 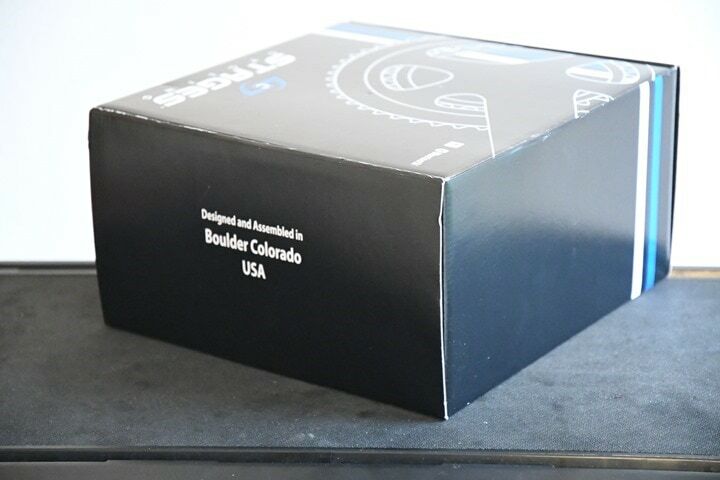 Any plans to review the new 4iiii Podium LR powermeter as well? Would love to see the two of them compared! Cheers! I have a Stages LR. If I click on “unlink” then I have 2 independent power meters(1 Stages L and 1 Stages R)? I answer the question: Yes. 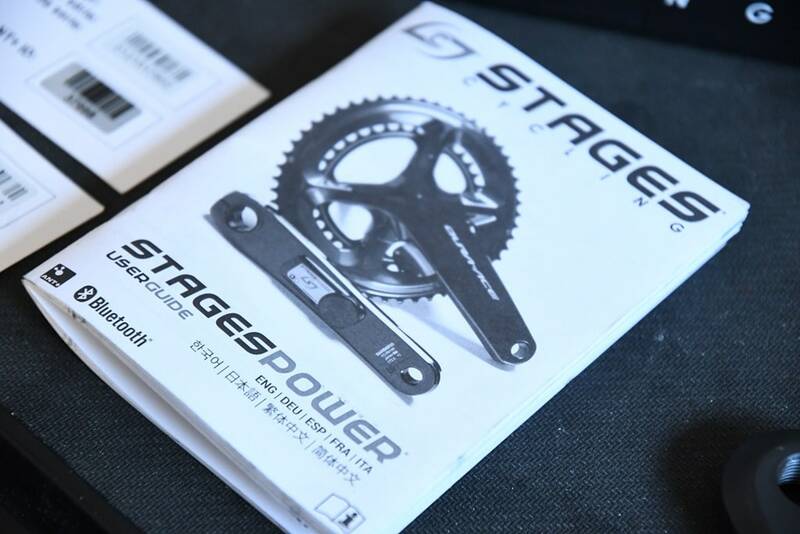 Stages FAQ Page: “To use the power meters separately, repeat this process and select Unlink form the main screen”. Good news Here. Is the data drop thing purely a power meter thing to stages, or a broader issue with some newer Garmin computers? I’ve been off the bike for nearly a year (injury) and finally got back and found my FR935 was constantly auto-pausing (set to “when stopped”) and recalculating the wheel size when auto-pause was disabled. I noticed my cadence was periodically 0, but doesn’t say that the speed cadence sensor connects/disconnects. I thought the sensor (Giant RideSense) was shagged, or at the very least the battery was. Neither a fresh battery or messing with the magnets made one bit of difference. After reading this article, it occurred to me that the FR935 is also new. My motivation to get back into running and cycling post surgery. So I grabbed my old Edge 510 this morning, and the problems magically went away. The FR935 on my wrist still had zero cadence from time to time, but the Edge did not. Could this be a problem with the FR935, and something Garmin may be able to fix with a firmware upgrade, or is is physical such as weaker receiving antenna or poorer transmission signal strength? 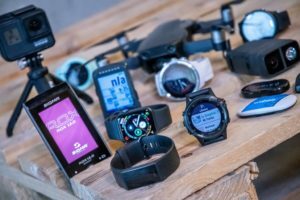 Generally speaking I haven’t heard of issues with the FR935 and connectivity (in fact, the opposite, it’s why people are choosing it over the Fenix 5 series). That said, when it comes to wrist watches of all types, they have an additional ‘layer’ to deal with in the connectivity realm: Your body blocking half of it. 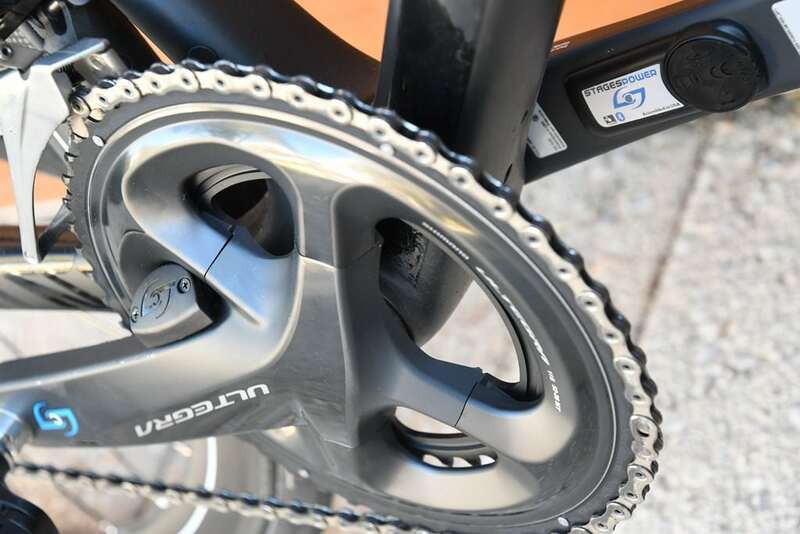 But as noted above, with Stages still being considerably lower than other power meters on the market from a transmission standpoint, one is more likely to run into the issue on a Stages unit than on other power meters. Hopefully the increase in signal strength on Stages side though should mitigate it for most situations going forward. How can I contact you to discuss a new product? Hi Chip, the contact link in the upper right corner is the best bet. I have Stages left only units on 3 of my bikes. I think 2 of them were the first iteration, and the other is the second. I’m wondering if you think there is an advantage buying the whole l-r setup (due to improvements), or if I’d be fine just buying the right side to get dual sided power. The move from Gen1 to Gen2 was nothing more than a change in the plastic enclosure. The electronics were the same. 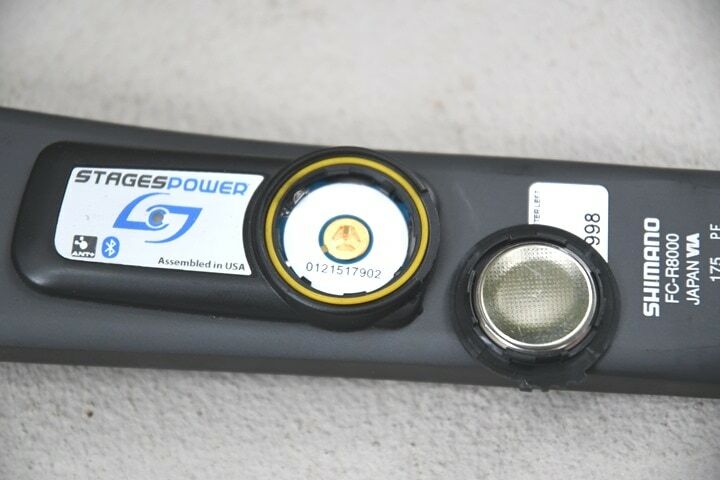 The Gen3 or Stages L PMs are apparently 5g lighter, .5% more accurate and capable of measuring up to 5000W. The improved specs could be the result of firmware/software. The decrease in weight could be from process node shrinks and smaller PCBs. One issue that might come up is the chainring distance/pitch has changed with Shimano R9100 and R8000…I’m unsure how well the older 6800 and 9000 series front derailleurs work with the updated cranksets. I also haven’t seen confirmation that the Gen1/Gen2 units can by linked/paired with the Stages R units. I’ve had no front derailleur issues going from a 6800 crank to a Dura Ace 9100 Stages LR. No tuning needed. Also correct, a Stages R unit can be paired with earlier Gen 1 and Gen 2 Stages L models. I’ve had a Gen1 for coming on 4 years now. Initially had the short battery life problems, but that was sorted after the new battery covers were introduced. No water ingress issues at all. 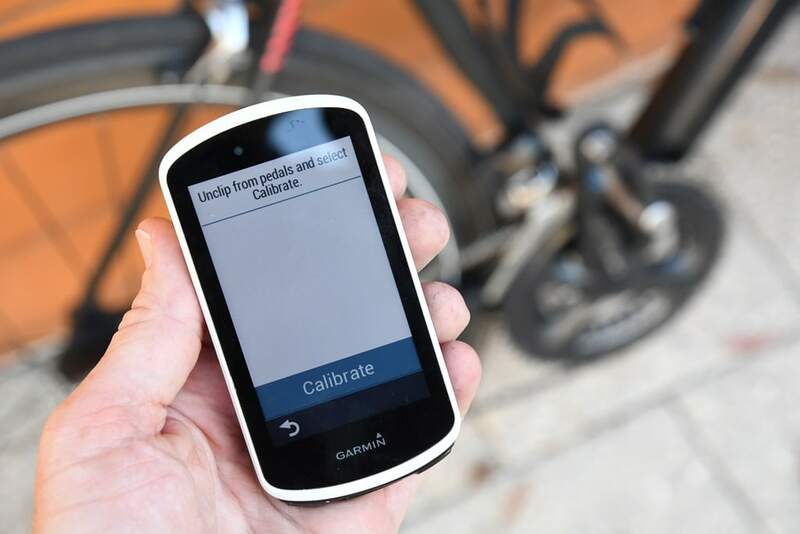 However, early last year I started getting dropouts – on the Garmin 520 I’d actually loose all sensors, then a message telling me the phone disconnected, to be reconnected about 10 sec later. This only started happening when I’d started using Strava’s beacon. All I needed to do was turn off BT on my phone and no more dropouts. 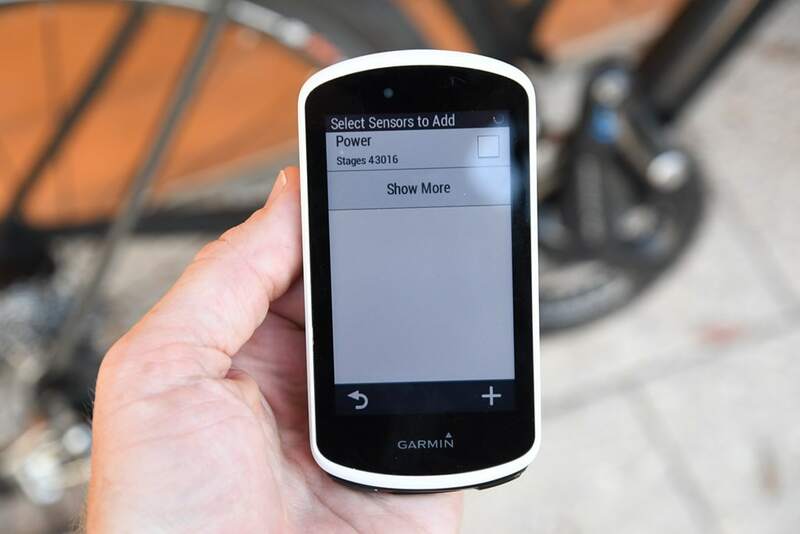 Now whether this linked to the Stages dropout problem or something going on in the Garmin BT and phone I can’t figure out, but others I ride with are experiencing similar problems, but not all use Beacon. I don’t thinks this is necessarily a Stages issue. I have 4iiii Precision left crank power meter and Edge 520. If at the same time I had my Android phone connected to Edge 520 via BT, I also used to experience similar “super drop-outs”, when Edge 520 would lose all the sensors and the reconnect back. With BT off or phone disconnected no such drop-outs. I have not checked recently if this still exist – it might have been solved with one of the subsequent Edge 520 updates. Or it might be a BT ANT+ timing issue on 4iiii (similar to what Stages have recitfied), or it might be my specfic phone issue and the way BT behaves. Couldn’t find the info, maybe I just missed it, but if you buy the LR, could you pull the left side and use it as a standalone on a different bike if you needed to? I think an earlier review of yours noted that the left side was the “master”, so presumably, the right side couldn’t be used alone. Thinking about 1 power meter for road/cx bike, and moving 1 crankarm is much easier than changing chainrings and whatnot. From what I have been able to deduce, they will work individually. For the purposes of dual-leg measurement, the “L” unit becomes the master and reports the data to your Garmin/Zwift/etc. If you select the “R” unit as a power source in something like Zwift, it will only double your right-leg power. Have you ever managed to compare the different stages unit as i did in the post above? Have you noticed any difference/offset between them or can you confirm they are consistent and well paired alltogether? Have you tried riding with it in the rain? I’ve had to send mine back four times because of water damage. it stopped working again after a damp ride recently and I’ve just given up. I had humid and at times rainy rides with the road bike, and few muddy/rainy rides with the mtb and while I actually experienced some slight issues related to himidty in the battery compartment, they were all related to post ride moments: during the rides I always managed to get away with my power readings. Wet rides never killed my Stages. But… after hearing all the stories most of the times I used to put additional electrical tape on it and I always let it dry afterwards with battery cap off. Humidity inside the unit may cause overnight batter drain which may look like your unit is dead but, in fact, most of the times it’s not. Chris Froome seems to be still using his 810 on his recent rides in SA on Strava. I wonder how many he has used? I suspect Team Sky have quite a few as back up. Still, no denying that Sky seem to think they work. Difficult to argue with that if i hadn’t had such a poor experience with them myself. I dont think 520 and 820 are better than 810. What important things can 820 that 810 cant on outdoor ride. trainer control is good but it is not very important. Thanks for posting this helpful review. I wonder what happen if someone want or have to change the chainrings on the Stages powermeter. Can he do that by his own ? What if the number of teeth is different ? I didn’t find the answer on Stages website but maybe I missed it. 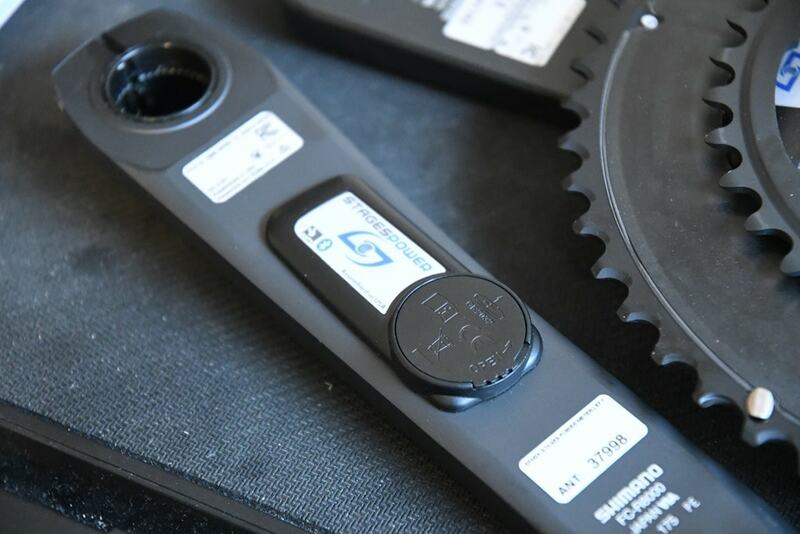 You can swap chainrings on your own, including changing teeth, etc. ok, thanks. Did you find this information on the Stages website ? I have just fitted the Stages Ultegra LR and the hardware seems to be working fine. However, the App crashes everytime I try to Pair Left with Right. Am I the only person to experience this issue? I have used my Moto G5S phone and Samsung Tablet, both have exactly the same problem. I had issues with the Android app crashing while trying to link or Zero the LR. I switched to iOS (using an iPad Air 2, or perhaps an old iPhone 5? can’t remember…) and I still had some weirdness of being unable to complete a zero-calibration on one or both sides, but was at least able to unlink and relink my two sides successfully (I may have had to quit and restart the app). I contacted Stages and they said they are working on the Zero Reset issue. The Zero Reset does complete on my units then the App crashes. Being unable to link the two units is my problem. Everything else seems to be working. I was able to update the firmware to v1.1.8 yesterday. And the power reading compared well with Neo. I received a Beta version of the Android App and all is working now. I got this update too. When it installed it said the update failed but the version number is showing updated so no idea what’s up with it. Also installed from the Android app. Could it be more durable CR2032? The specific change is actually that they increased radio power strength without impacting battery life. Obviously, that’s notably significant. I know you can buy the Stages L unit, and then buy the R unit as an upgrade and link them together to get LR. But is it possible to buy Stages LR, and then split it on two bikes, so you get L on one and R on the other? Would be a great deal, given the lower price on LR than on two L units. Ole – Yes this is possible. You’ll need to unpair them in the Stages app. I currently have a Stages L on my 2014 Tarmac SL4 Comp Di2, which uses an FSA Gossamer Pro BB30 on OSBB. I asked my LBS what needs to be done to be able to upgrade to the Stages Power LR, and I would need to convert to Hollowtech II using the Wheels Manufacturing BB30 to 24mm adapters. They say they have very good experiences with converting to Ultegra using these adapters. Unfortunately, I cannot upgrade with a Stages R only in addition to my Stages L on FSA, since the LR only supports Shimano at this moment. Would the Stages Power LR on the UItegra crank set be a good upgrade? Or should I prefer a Quarq DZero over the Stages in terms of installation? 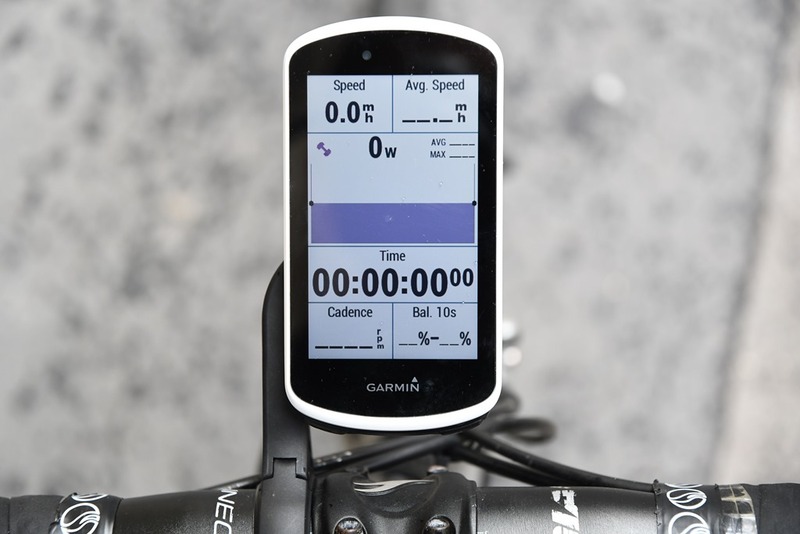 Also posted in “Quarq Dzero in-depth review” as I do not know which would be the better option. Any power spikes? The absolute bane of my existence on my three g2 left only models over the last few years. Occur on rough roads when descending mainly. Left foot down bit of a bump and bam 1500 watts+ appear on my head unit. Edge 520. Interestingly I never had an issue with old 500, so units must process the raw data from stages a bit differently. I’m trying to use Garmin Cycling Dynamics with Stages LR. Is full functionality available? I can get torque effect, L/R balance, and pedal smoothness. However, I can’t get Left or Right Power Phase to show up, or the PCO metric. Should they, or does Stages not (yet) work with those measures? Still, even once they adopt it, Stages wouldn’t be able to do PCO since that’s about where your foot is on the pedal platform, so Stages doesn’t have enough data to make that happen. 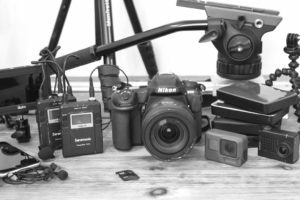 I had the same experience – upgraded firmware today (day 1 with LR) and it said it failed. Opened the app again, and voila, there was 1.1.9. Anyone else having problems with the Android app crashing after calibration? Mine has done it every single time. Why haven’t Stages released a firmware update to fix the dropouts on the earlier Stages LH only units, perhaps an update to increase the transmitter/signal strength? I had a 1st generation unit which never once had a dropout but eventually succumbed to the water ingress problem. The replacement, a 2nd generation, drops out continuously despite Stages saying the only difference between the two is the housing/battery door. They recommended I mount it on the stem rather than on an out front mount. That does improve things slightly but who wants it there? My 1st generation unit was always on an out front mount and never failed. Is there a reason they haven’t corrected this common problem with an update? My understanding is it’s chipset related. Was your 1st gen Stages completely dead? Just asking because water ingress is fixable most of the times. Maybe you shouldn’t get rid of well functioning 1st gen unit that easily 😉 Better is the enemy of good enough. It wasn’t completely dead but due to the water and rust etc causing a short circuit somewhere the battery eventually drained completely within 24 hours. Stages offered to replace it which of course I accepted. But the Stages 2nd Generation that replaced it has never worked properly, no water ingress at all but dropping out every couple of minutes or so. I find it hard to believe that the internals of both generations are exactly the same as Stages insist they are. The fact that it works slightly better when mounted on the stem than when on the out front mount indicates (to me anyway) that there is a problem with the signals range. Very poor from Stages. Ahh, I think you should have stayed with old unit. Battery drain issue is easily fixable most of the times. You can simply dry it out. Problem occurred in my old Stages 2-3 times but I always fixed it by leaving unit with battery cap open for 24 hours. I was doing that too but the water had caused rust to form a short circuit somewhere and after that no amount of drying it out was going to cure it. Within 24 hours a brand new battery was flat. Stages acknowledged water ingress was a problem with the 1st generation units and replaced it with a 2nd generation unit with a new door design. Well the new door design works but I believe they must also have changed something else with the internals leading to a weaker ANT signal, meaning it doesn’t have enough range to provide a good signal when the head unit is mounted on an out front mount. Many others have experienced the same problem and Stages have basically admitted there is a problem because they claim they have made the transmitter 6 times stronger with the 3rd generation units released a few weeks ago. I would be interested to hear from people with the new unit if it has indeed been fixed. I didn’t quite follow the signal strength bit. Would a dual sided setup give me higher signal strength? I am thinking of my helmet mounted camera which at the moment doesn’t get any power meter readings. Can i update my 105 5800 with ultegra lr 8000 or there is other compatibility requirements? Bb changing or something else. The right side battery access requires removing two small screws and since battery life is relatively short, those screws could see a lot of use. Do they thread into metal inserts or into the plastic body of the sensor? DCRAINMAKER would you buy this power meter or the Shimano power meter if you had to chose? B) Stages doesn’t yet have high-speed data mode on this, but that’ll likely happen soon. Shimano has no such plans at all. Now, one might argue that Shimano sends a better power signal, but I don’t think that’s much of an issue with the Stages LR to be honest. And again, dual on Stages, no-dual on Shimano. Thank you Rainmaker. So would you have any hesitation buying the Stages LR? I have some but it’s really only based on word of mouth and opinions, not data. I have a Riken Quarq today, but I want a unit that matches my Dura ace Di 2 on a new bike. One advice: I have a 4iiii precision left power meter. Thinking about buying a dual sided power meter. Which one would you recommend me between the Stages LR Ultegra 6800 and the 4iii Podium one (given that the Stages costs 950€ and the 4iiii 999€, so no big difference). I think the Pionner version would be a great choice, but though adverstised as the same price (in $) I don’t find it at this price in € in Europe. Which one of the 2 (or the 3) would you recommend me. Ray, Having tested the L-only and LR units, can you quantify any benefit of having the LR over the L-only? Do your tests show the LR to be x% more accurate or y% more consistent than the L-only for someone with a 50-50 L-R balance? Also, do your tests show how well the L-R power variances track between the LR Stages and the L-R Garmin pedals over the course of a ride? Finally, how do the variances in power readings based on where the power meter is located – pedals, crank, spindle, hub – compare to the L-R variances between two different L-R power meters or a L-only and L-R power meter for someone with a 50-5 L-R balance. The main benefit of any dual-leg (or total power) system over a left-only system is consistency and accuracy. The incorrect arguement a lot of people attempt to use with a left-only system is that “at least it’s consistent”, except, this is very much not true. And all of the information that we’ve seen in the last few years from dual-leg systems shows exactly that. Most people are not only not balanced, but also vary the balance across different power ranges. For example, I’m imbalanced at rather low wattages (i.e. 100-150w), and then I get steadily more balanced as I get to long-ride wattages (i.e. 200-250w or so). And then as I cross over FTP and into sprint wattages, I get imbalanced again. This is totally common. Except, people vary that. For example, as I get fatigued my balance shifts (thus, long ride impacts). The secondary argument people will attempt to use is that if it’s (Stages single leg) good enough for Team Sky then it’s good enough for them. Except that’s exactly what Team Sky didn’t say, in fact, they said it wasn’t good enough – which is entirely how the Stages LR came to be: Team Sky wanted a dual leg system after trying out the single leg system for just a single season. And since then, Team Sky has been on dual-leg units (for years). Certainly, having a single-leg power meter is better than nothing, but it’s not ideal either if you’re really focused on the data (which can easily swing upwards of 10% or more). 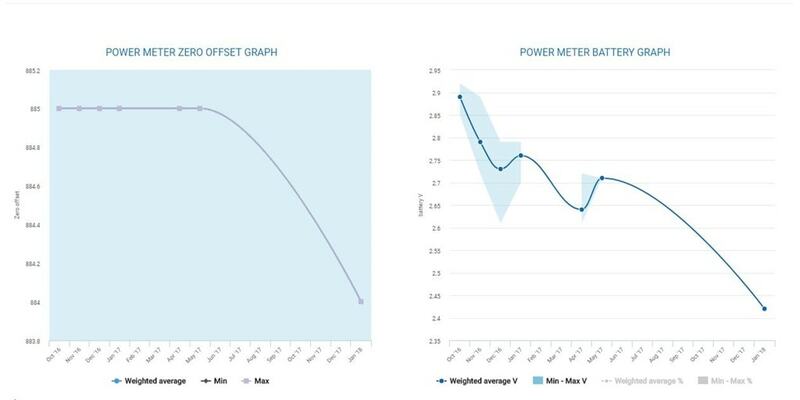 Power meter manufacturers quantify the accuracy levels of their devices (e.g., +/- 1.5%) and you nicely chart and quantify the gaps in watts between power meters over the course of a ride and at different points in a ride (e.g. hills, sprints, cobbles, temp changes). What I haven’t seen but would welcome you sharing is the wattage or percentage differences in accuracy and consistency between LR and L only power meters from the same models (e.g. Stages), from different models (e.g. LR and L from Stages vs. Assioma), from true LR, estimated LR (e.g. Quarq) and total power meters (e.g. G3), and at different locations on the bike (e.g. pedal, crank, spindle, hub, trainer). For example, how big are the accuracy results differences or what do the charts look like for a LR Stages vs a L Stages on the same outside ride or smart trainer inside workout? How consistent are the LR and L Stages and how consistent are the differences/results charts on trainer rides doing the same workout over 3 or 4 rides? How does all of that look for a LR Assioma vs a L Assioma? How do those LR and L Stages look against the LR and L Assioma and against a G3 hub or Quarq spider or Kickr trainer power readings for accuracy and consistency? This would quantify the magnitude of LR vs L differences in accuracy and repeatability within a model, between models, and between different locations on the bike. Knowing this would help quantify the cost/benefit ratio – the benefit of going to an LR over an L versus the extra cost of doing so. You detail and readers scrutinize prices. We can and do quantify the differences in costs. It would be great if we can better the differences in benefits. If for example, the LR and L Stages varied in accuracy by 3%, that’s a benefit worth the cost for Sky and probably Cat 1 and 2 racers but perhaps not for anyone else. If, however, the LR is more consistent than the L by 10%, that’s a big deal for anyone wanting to use a power meter for serious training. If the Assioma differences between LR and L are 2% on accuracy and 4% on repeatability, then maybe that’s too small a difference for most to see the benefit of paying more for the LR option. Finally, if the power meter readings and percent differences of the most accurate and consistent power meters you’ve tested at the pedal(s), crank(s), spider, spindle, hub, and trainer locations are less than the differences between LR and L power meters, great. If they are the same or greater, crap, that certainly adds another consideration into the buying equation. In other words, quantifying benefits of LR vs L vs location will help each rider determine whether the added cost is worth it or whether we are just geeking out and falling prey to technology and marketing hype. While the accuracy for each power meter L vs LR vs Total may well be with in the tolerance of its own specific output (each side), the thing is a Left only simply doubles it’s value for total power. So if you are training consistently and your only bike or all your power meters on all your bikes are Left only you can use this to train for the most part. It’s not 100% as Ray said as your LR balance will shift on workout zones, but it’s better than nothing. Where you will have issues is if you have say one bike that is Left only and then another is LR or you are simply upgrading to a LR system. I recently went from a Stages Left only on my bikes to a Stages LR on my race bike, I have a pretty significant leg imbalance that I didn’t know about until I had the new Stages LR (about 54/46). Since my Left side is doing more work, my Stages L completely inflated my FTP so when I started using my Stages LR I noticed that my workouts were considerably harder for the same wattage. When I did another FTP test to make sure all was okay, the Stages L would say my FTP is 315 but really it was about 265. If I train on one of my older bikes now with Left only power, this is something I have to account for. What I believe Ray is trying to show in his testing and comparison charts is that if I buy X power meter that measures Total Power or LR power of Y, and another power meter measuring LR/Total power is the same, then I can be pretty sure that both are accurate and if I buy another powermeter in the future from one of those brands, that the results will be similar. This is needed if you are serious in your training as you need to be able to compare day to day, week to week, month to month and even year to year to see how your progressing. Because all my previous years training were on a Left only system and now I am on a LR, it’s really hard for me to compare how previous seasons of racing compare to this year as the numbers just don’t match up. I know I am not all of a sudden 20% weaker as my training and performance in races show the opposite. Its just now I have a much more accurate picture being on a LR system and I will have to use this year as a new baseline. Again a lot of this won’t matter to most people, its just about how serious you are with your training and goals. Thanks for your thoughtful comment. Agreed. You should use the same power meter on both/all your bikes if you want consistency. And if you have a pretty significant imbalance in the power coming from your left and right legs, then using an LR will give you a more accurate reading of your total power. Your point about imbalance suggests another question to add to the quantifiable task. How accurate are the power meters in measuring imbalance? If your PM says you are 49/51 is that within the tolerance of the PM? Could it just as easily be 50/50 or 51/49 and stay within that tolerance (of +/- 2%)? And then if you are 45/55 while warming up or doing a Zone 1 or 2 recovery ride and then closer to 48/52 or even 50/50 while in Zone 3 and above, what difference does it make? Other than staying within Zone 1 or 2 while doing a warm-up or recovery, there is little training benefit in being accurately within the middle of those zones or at the high or low end of them. Or lets you are never better than a significant imbalance of 45/55. The still unanswered question – what do you do differently if anything in your training if you are imbalanced? Other than doing rehab for an injury, I’ve not seen any training suggestions except still experimental ones from a few coaches to pros and Cat 1 or 2 racers that would cause you to train any differently. I’m certainly not asking Ray to answer that one. Being able to quantify accuracy and consistency differences of true LR vs. estimated LR vs L only vs location in the way I’ve laid out would help people determine which power meter to buy – all else being equal – knowing whether some form or model of LR provides benefits worth the cost. Without it, we are merely asserting or arguing LR provides benefits based on theory and personal anecdotes rather than data. Ray likely has more independently developed data than anyone to quantify the assertions or arguments he and many in the industry make. It would be helpful to put it out there to help buyers in their decision making. Yeah, putting together a post showing some of the limitations of left-only units has long been on my list. It’s not so much a challenge of having all the – but rather, I have so much data that I’ve gotta figure out a way to consolidate some of it. Most of my data is focused on accuracy testing, which of course does really well show the limitations of left-only. But I don’t have it organized that way unfortunately at present. Any news about 1.2.0 update? I’d say the calibration is inconsistent because sometimes the stages agrees with the Tacx Neo, and other times (after recalibrating it) it doesn’t. Also the calibration numbers displayed in the iPhone app/Garmin head unit vary from one calibration run to the next. For example, this morning I took the bike outside, waited a while, and calibrated repeatedly 4 times. From memory I got something like 900/904, 901/901, 902/904, 901/903 at which point I just left it. I never saw that on my previous stages meters. Repeated calibration nearly always returned the same number on a given day. More stable zero-calibration numbers. Users should perform a zero-calibration after the firmware update is complete. Past days I´ve been just using the power from the left unit. Today the zero reset on the right side have gone down to about 2200. Do you have any tips? As it worked perfect the first ride, it should be a software issue and I hope it will either just fix itself or through a firmware update. Stages support has asked me to send it in, but would be fantastic to not need that. That doesn’t sound right…I’d send it back. Zero reset values are way out of range. I updated firmware latest firmware yesterday (released 22/3/2018), and everything looks good now. Power matches Neo almost exactly. Calibration is consistent. Power balance is sensible. It’s a shame that Stages released this product before it was ready. The first couple of firmware versions clearly didn’t work properly. I think the latest version is production ready. Hi. Thanks for your good article. I am writing from Spain. I bought us stages hard ace LR and on my first day of testing with my garmin 520 I was very disappointed because my garmin only connects to one of the potentiometers. I can pair the two but can only work with one or the other but not with both at the same time. I have done tests like releasing the leg of the one that is connected and power drops to zero. or even halfway through, remove the battery from which it is not present and the data did not change. only one potentiometer is working, multiplying the power by two but not how each potentiometer should be sending its power data. I do not know if this happened to you, that’s why it’s my question. the power data were coherent, 230w approximately rolling in level at a not too high rate. that is, a single potentiometer measures the strength of one leg and multiplies it by two. Can you help me in some way? thank you very much. Check if left and right sensors are linked together in Stages mobile app. It seems like they’re acting as two separate power meters. I just picked up the LR R8000 cranks for my cross and gravel bikes intending to use 46/34 chainrings. Meaning I’ll swap the large ring. However, I can not figure out how to remove the large chainring (50t) that came on it. I’m losing my mind thinking I must be on crazy pills here. The pod blocks the large chainring from being removed. Am I missing something here? Giles, thanks for the reply but I’m curious why you could not change to another size? Did you try and something not work? As long as you are using this or the previous generations Rings the bolt patterns should match. 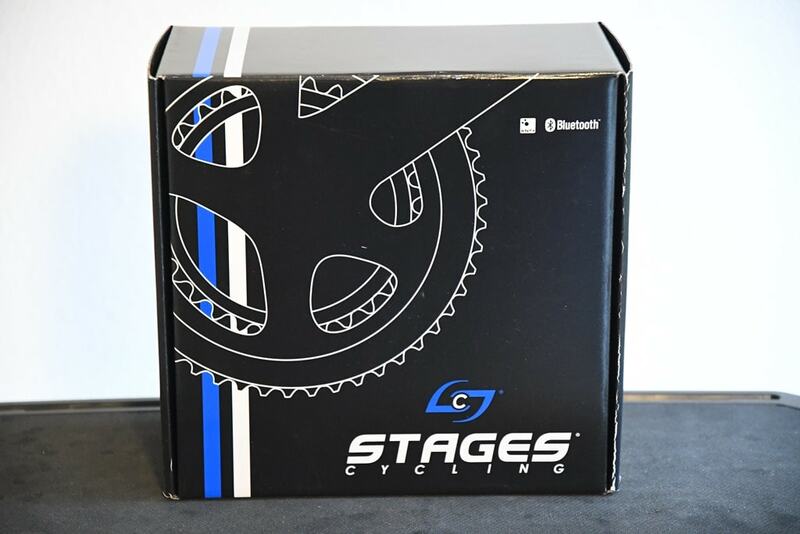 Stages support page States that you can use any of the common compact, mid compact, or full size chainring combos. It mentions that other sizes may or may not work, and I assume the limiting factor would be the Pod getting in the way. The 6800 series 46t had the same pattern but was much thinner in the traditional chainring style and just had some fake plastic caps to ramp up to the design of the cx ring to the crank. I was thinking of just shaving that part along with a little bit of metal if needed on the ring. At this point regardless of whether I can use a 46 tooth or have to stay with the same 50 tooth, my concern now is that I cannot remove the 50 tooth because the space is too tight from the pod to the chainring. This would mean that the whole power meter is a throwaway device unless I literally cut this chainring off once it’s worn out, and go to a bigger size that hopefully fits easier. Maybe I just need to really cram this chainring into the Pod as hard as I can to get it off but that’s really not something I want to do with such an expensive device unless I’ve heard from others first… Even then I don’t think I could remove it without damaging something. I have Ultegra 6800 and have had both 52t and 50t chainrings. To switch between the two I had to change the chain set. A 50t chainring won’t fit on a 52t chain set. I’m really impressed with Stages support so far. On a side note, now that I’m comparing my older 6800 series cranks to the R8000, I don’t think the big rings are actually interchangeable. As always, Shimano makes slight un-necessary tweaks in the design. I used to grind pieces of XT chainrings as a workaround but my road bikes need to be pretty. If it’s anything like my Shimano crank then you can’t change the rings for different sizes. If you bought a 50t crank then you need to buy a whole new chain set if you want to use a different size. Hmm, I hadn’t thought of it till now, but actually, what I think you’re saying makes sense. To zap the overall comments link for the post, and just keep the reply comment link? Yes, I should be replying to the comment in the email that I am reading, not starting a new comment thread. Minor but worth a fix if it’s easy. We contacted stages support and they have instructions. You have to apply significant force to clear the bolt holes on on the non crank side of the ring. To clear the other side you must remove the battery cover. I’d get the document before trying so your clear. Its a bit crazy to be honest. Did you happen to get the dock Zach? Yes I gave them a call and within five minutes it was in my inbox. I had to put my fears aside and just follow it but it worked. I put a 46 tooth CX ring on and it fit. It actually wasn’t difficult to put on because it’s much thinner than the road rings. However because of this I had to use standard chainring bolts backs as the already overpriced Shimano chainring did not include the cyclocross chainring bolt caps. The local bike shop ordered a set for $55 from Shimano. They aren’t entirely necessary but they helped make the chainring look like it goes on the crank. If you happen to need the PDF let me know. On a side note I did take a piece of sandpaper and took a little under a millimeter off of the chain guard on the ring as it seemed very close possibly touching the power meter. Would you be able to share a copy with me? The bike shop have it I’m afraid. I’m sure stages will provide. I am looking for a left sided power meter which I could upgrade later to dual sided. Looking at Stages Gen 3 and 4iiii any advice as to the best to go for. I live in Scotland so often wet and cold, bike stored in house. Is auto temp calibration needed? I have same question , Stages Gen3 or 4iiii GEN 2 ? I honestly don’t have much of a preference between the two most recent generations of either product. They’re both great. Anyone else having battery drain issues? I have a Stages LR crankset that I received only about 2-3 months ago. Last week, I noticed that the right crank wasn’t showing up in Zwift iOS on Bluetooth with the left (I always select the left crank) and I confirmed that only the left crank was sending data to my Garmin watch (balance of 100:0). I replaced the battery in the right crank after checking to find that it was completely dead. This brought it back to life and it paired with the left crank and everything was good in Swift and my Garmin 935 watch. Then, today, again I didn’t see the right crank on Bluetooth and my balance was 100:0 on the Garmin. I removed and checked the battery and it was dead on the right again. I had ridden a max of 2-3 hours since changing the battery on the right. The bike was on the trainer that entire time, so wouldn’t have been jiggled or anything else to wake up the PM. I am already on the latest firmware, 1.2.0. The battery cover is screwed in securely and has never been ridden in the rain or on wet roads. Could it be a firmware issue that isn’t letting it go to sleep? It is frustrating to keep going through batteries and missing rides because I realize the PM battery has drained again and can’t change it fast enough. I have LR stages Powermeter and I’m not able to connect them at my Garmin Edge at the same time,so basically at the end of ride I have data only from either left or right side,it depends which side I connect.Is it possible for outdoor ride to connect both Powermeter on same Unit and get analysis? Make sure that left and right unit are linked with each other as one power meter in Stages mobile app. Many thanks,I did as you said.It is working as one signal now,just there is no L ,R separated data in Garmin Connect.Is that case with you as well? How do you mean Balance? Yes, all ant+ power meters work like that. There is no two separate sensors to be paired. If everything is fine you should have power, cadence, L/R balance, L/R pedaling smoothness and L/R torque effectiveness data recorded and visible on Garmin Connect after the ride. Many thanks for good advice I’m able to see all data L and R.
Lots of comments on various Online stores about these units not performing out of the box – as late as June 2018. Are these a few anomalies or are these Gen 3 Dual side units just not ready for the real world? Marginal response from Stages customer service also seems to be a common thread. every time i think i have figured out the right power meter for me, something comes up to scare me away. What are all you hearing? I have the L/R Gen3 on my road bike and one on my CX bike. 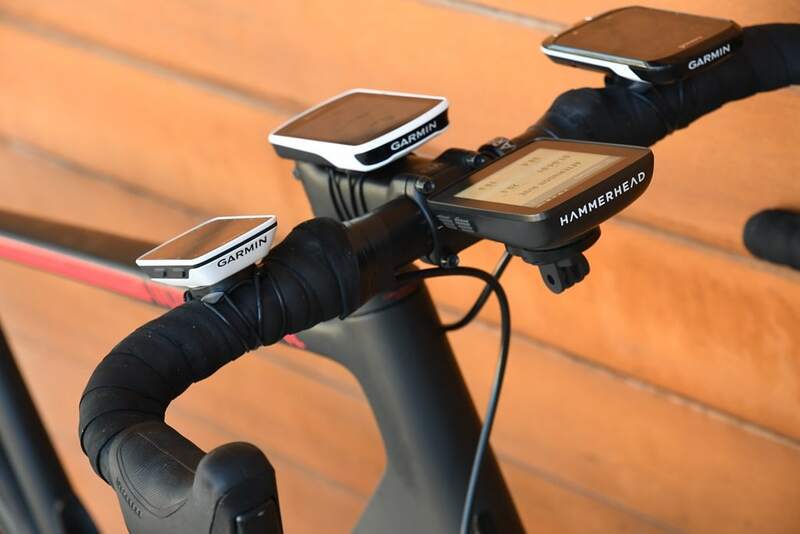 I’ve had them for a few months now and haven’t had any issues with ANT+ to my Garmin, although I haven’t had a lot of ride time for various reasons. 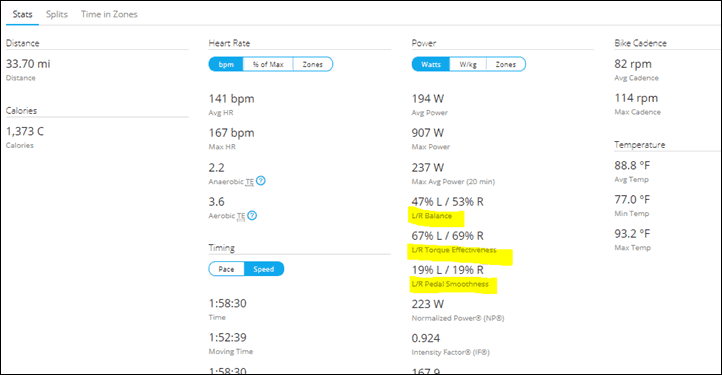 I’ve not tried BLE, as Garmin doesn’t play well with bluetooth (recent Garmin update may have fixed that), and ANT+ seems to have more ‘standard’ features for power meters. I was very worried about the L/R balance not reading the same between the two units, but once I started riding them both within the same day, I realized they do match up when I average the ride, and my form is sloppy as hell. So my balance bounces around but I’m certain it’s me, and my weak hip flexors, as the two bikes always average out to 46/54 and give me the same smoothness and torque efficiency readings. Under heavy load, on both bikes my L/R smooths out to 50/50, which explains why my mountain bikes with single side always read lower than my trainer until I reach FTP level output then they match (as my legs even out). This sort of thing is why I went double sided, so I can pay attention and try to correct some injuries. So I personally I feel that everything is working great and I am a happy camper (tho my wallet isn’t). Fwiw, I recently added one (a LR unit) to my stable about three weeks ago and onto my main road bike, and have been using it on testing a bunch of things the last three weeks. been solid for me. I have an LR that I got in about February, and I noticed an issue where the right crank is draining a battery every 2-3 weeks with only a few hours of riding, and also getting lots of error messages (-32) when trying to do a zero offset until one is successful from Garmin ant+ head unit. Ive found their email tech support to be pretty prompt and curteous in responding as I’ve done various resets and provided screenshots from their Stages app, and they’ve offered to set up a replacement, which I’m working on now. I’ve got a left only crank and have had various issues over the years and have only had very good experiences with customer support. I’ve had a gen 1, gen 2 and gen 3 am provided under warranty. 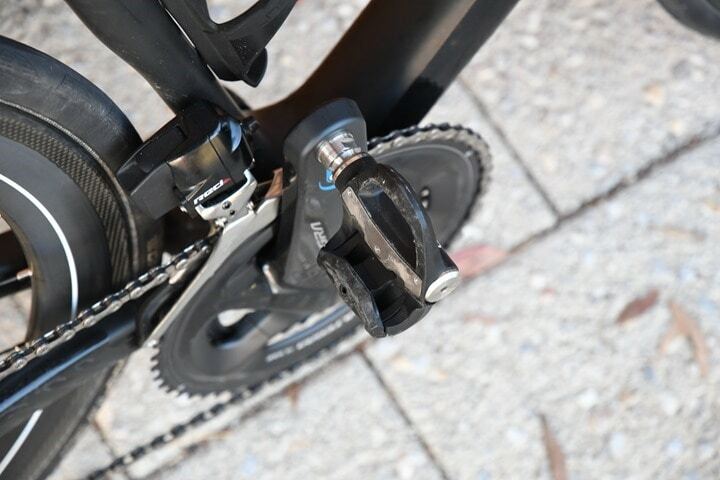 How large is clearance between left side power meter and chainstay? In other words – how thick is plastic case? I got Canyon CF SL Disc frame with Ultegra crank and distance between arm and frame is about 8,5 mm. In Stages’ FAQ they say you should be able to put 10mm hex to be sure PM will fit. I’ve got the Stages G3 L/R installed on a 2018 Canyon Ultimate CF SL 8.0 – no issues whatsoever with clearance. On a 175mm crank at the closest point, there’s a good 4mm of clearance between crank arm and frame. I see you ride with the Hammerhead Karoo, this is also my goto headunit how does your Stages R800 LR work with the Karoo any issues? 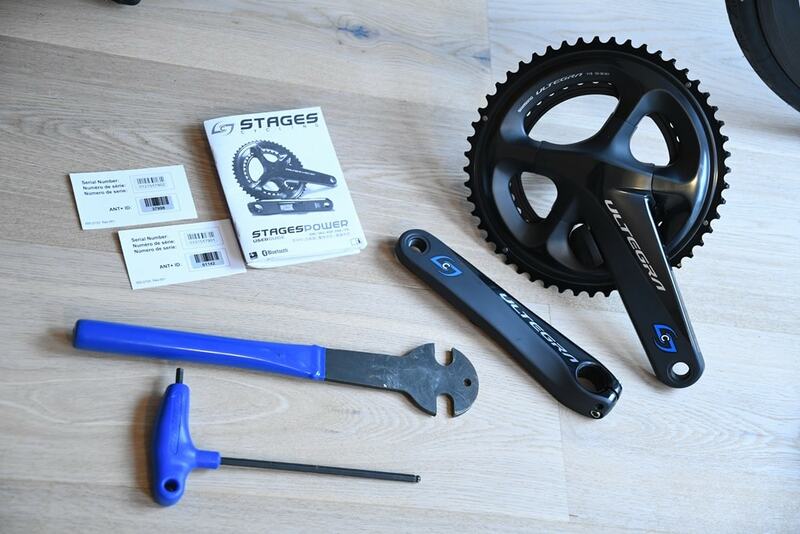 Could it be that the Stages LR does not really harmonise with a SRM PC 8? Any experience? I have got this combination on my road bike and the power and cadence is either 0 or all over the place. Totally plausible, but deciding fault would be tricky. In most cases for compatibility, I’d wager that the PC8 would be at fault, since I know they simply don’t test it with most other power meters (had conversations about it with their engineering dept and founder last month). That’s fine, it’s targeted at the SRM power meters anyways. With Stages of course, there’s always the consideration of lower broadcast transmission, so that’s a potential factor – but unlikely with the LR. I’d so something silly – like stick the PC8 where your water bottle holder is for a few minutes and see if the data gets smooth. That helps sort out where it’s a transmission strength issue, or just a PC8 comprehensive/processing issue. I have a hypothesis and would like you to weigh in on how plausible you think it is. It is that Left-only PMs can unconsciously bias a rider to become lopsided in effort. I have some personal evidence. I was for a year or so in a gym that used trainers with power (non crank based), and back then, I didn’t notice a big difference between my Stages Left and my trainer power (though there was a bias for higher on Stages). So I think I may have changed after then, during the past 1-2 years. Have done intervals 2-3 times a week looking closely at the PM. Possible? Regardless, it was a drag seeing that my overall power was so much lower than I’d thought, and concerning that my power output was so asymmetrical. (I had started getting some left foot pain, which may have been related to greater stress on my left leg/foot.) I’m trying to change PMs on my bikes all to non-left-only. I was using Stages left only and Trainer Road in ERG mode (powermatch ON) last winter. Generally satisfied with the results, but also had an impression, that unconsciously doing more effort with left leg when riding “on the edge” trying to keep right power level. This may be subjective as I have no proofs excepting personal feelings during workout. This sounds wrong. An imbalance like you describe suggests one of your legs doesn’t really work. You wouldn’t need a power meter to tell you this. I have 2 stages LR units and the first one has a problem with the R unit. It reports balance of 54/46 or sometimes 55/45 or worse. My other unit reports close to 50/50. Sometimes 49/51 in favour of right leg! I have a support ticket open with Stages but I’m pretty sure that the one reporting the imbalance is wrong because I’ve compared its data with my Tacx Neo. Are the two bikes setup closely with the same fit? Or have you been able to see the same results swapping cranks between the bikes? My imbalance goes away it I’m up straight and don’t use my hip flexors (one was hurt long ago). I know it’s a Longshot but thought I’d throw it out there. I just got back from a ride today and had nothing but drops with my Stages gen 3 dual side cranks :(. It’s been getting progressively worse the last few weeks. The crank’s batteryies are at 100% according to the stages app, and I have the latest 1.2.0 firmware. > Like an idiot I bought the gen 3 stages even after hearing about the signal dropouts. Today went for a ride and about 30% of the time my cadence and power weren’t showing on my Elemnt Bolt. It’s been happening the past few weeks but today was the worst. > I had figured that the 3rd gen things would be different, and also read in DC Rainmaker’s early review that it should be fixed. > Disappointed that a company can’t get it right even after 3 generations – at least I can return these for in-store credit and look for something new. Any recommendations? I have had no drop outs on my unit, at least none I noticed. Work with Stages Support, and if they can’t fix it, I suspect you’ll get a replacement unit. Hey, recently my Gen3 LR L and R started giving a 0/100 L/R power balance on my head unit. I did a quick check and I could see that the L side was not showing up anymore in the Stages app. So I replaced the L unit battery. Next thing I know is that somehow the R unit lost its factory configuration: ANT ID is showing up as “0” and it needs to be serviced by Stages! This smells like a pretty serious firmware bug! I may be looking at this a little backwards, but at the end of the day the only thing that matters is making the bike move forward. Now i only have powertap hubs until later this week when I receive the left only stages unit i purchased for my new gravel bike. My gravel bike can change between 650b and 700 wheelsets and I plan on using that feature. So to me powermeter hubs are out for now, especially since I want 32 hole rear hubs. Back to the subject. Since I do not have L/R power data now and I’m going to be on a much different terrain doing a different type of riding I do not care that my L/R balance is off nor do I care which leg is making the bike move forward. The ONLY important thing to consider is that the bike is moving forward. If this left unit is 10 percent off from my hubs or my kickr I’ll never know. So why stress over it. I was wondering if this can show power phase on Garmin unit in the future. PowerTap pedals can show something on its app. Assioma is going to support Cycling Dynamics. However, other crank arm power meter such as Shimano Power Meter or Pioneer Power requires a magnet to get power phase? 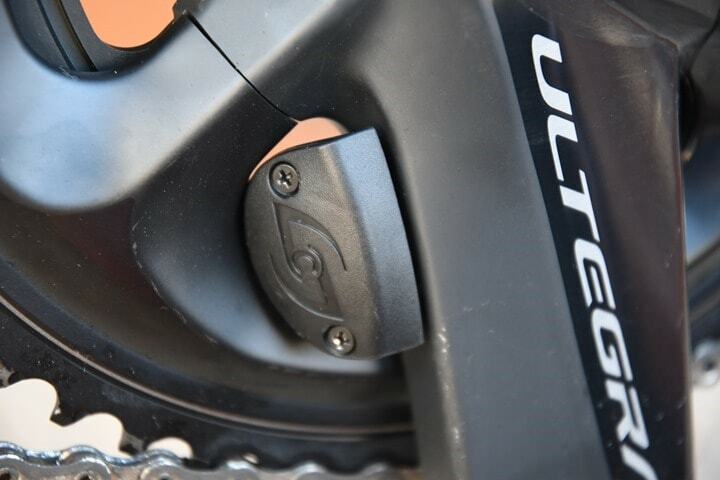 How can power meter pedals figure out where the top-dead-center is? I actually don’t know. I know that Pioneer could in theory (since they do it on their own app/devices/Wahoo units), which is roughly similiar to what Stages does. But I haven’t heard any details either way. Has anyone had an issue with a firmware 1.3 changing their RIGHT crank into a LEFT? I updated via Android each side to 1.3 and they would no longer pair. I tried connecting it to iOS which tells me they won’t pair because they are BOTH left side! I updated my other bike, both sides to 1.3 before this without issues. I’ve raised a ticket with Stages but was just wondering if anyone else had this happen. Also, the latest Android app is complete garbage. It doesn’t even tell me if a crank is left or right, and will take literally 30+ attempts to connect to each crank and will not connect to two at once (need to pair through iOS now). I had no issues before the latest android app, it used to be smooth. iOS has no issues connecting. Agree with your Android app comment. The app is such a piece of Garbage I’ve had fresh graduate developers at my company capable of better than this. Couldn’t believe I paid $1500 CAD for these, they’ve been returned now (due to other issues such as giving 2000watts over 5 minute readings), and the service department said they’re not surprised a stages product is being returned. I just wanted to mention that Stages support was really quick to reply to me and get a new unit out, but it doesn’t sound like this has been known to happen; I’m guessing a fluke. I think that half the connection issues I ran into were the Android getting confused about connecting to two (now left) units at the same time. I have another bike with dual sided and my android does take a couple tries to connect to them simultaneously but it wasn’t too bad. My garmin and iphone have no issues connecting to any of them with ANT+ or Bluetooth and I’ve never had dropouts or inconsistent L/R readings so I think it was just an issue on the app. Are there any clearance issues with the Stages power meter and the Canyon Ultimate cf slx? I have the dual sided installed on mine – no clearance issues at all. Well I had the crank arm installed today. It didn’t work. The power meter touched the chain stay. I don’t think that I have any opinions. The crankset is Campy and you can’t use a spacer to make it just a little wider. I have an issue with my power numbers with this same stages crankset. My Elite Direto trainer gives me about 20w higher avg power even though I’ve calibrated both my cranks and the trainer. My trainer is just fresh out of the box and my stages is about 6 months old. I believe there shouldn’t be so drastic difference and I can tell which one is not correct. Any ideas what could I do? Thanks! I am having a similar problem with my Stages LR when compared to my Wahoo Kickr for indoor training on Zwift or TrainerRoad. The right crank is generating power that is about 10-20w lower than the left and the average weighted power is around 8-10w lower than the Wahoo Kickr. I’ve used DC’s analyzer and have sent the power files to Stages and they agree. They sent me a new power meter and I am having the same problem with the new unit. My latest correspondence with Stages tech was not very helpful – they basically said they agreed that the right side was producing lower power and that one option was to just use the Stages PM instead of Wahoo for my indoor training. I’ve tested this PM with several different head units and with Zwift and TrainerRoad and the results are pretty similar. I realize that as long as the Power Meter is consistent I can use it for training, but when you spend a $800 on a dual power meter, you expect the company to live up to it’s accuracy claims (+/-1.5%). I’m curious if others are experiencing a similar problem and if it could have anything to do with installation, the latest firmware, etc. or did I just get two lemons in a row? I have the exact same issue with mu Ultegra R8000 LR. It was always reading about 5-10% lower than my kickr. I contacted stages and they asked me to compare as L only and as R only. As L only it is spot on with the kickr. As R only it is reading about 15% below the kickr. Waiting for their response now (they have been great communicating so far), hopefully this is an issue with a few units only and they will provide a fix. 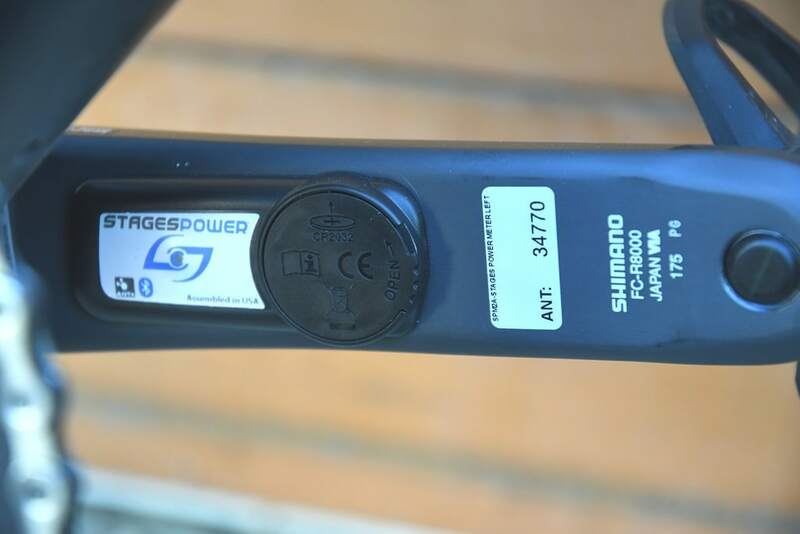 I’m afraid this is an issue with all Shimano crank arms based, glued-on power meters, not only Stages (so Pioneer, 4iiii and even Shimano’s own power meter). Except CK’s left hand side unit which is also glued-on appear to be spot on. Are you saying it is a common problem with drive (right) side glued-on power meters? Yes. The right side is the problem. You are better off with left-only version because right side seems to mess everything up. Curious if you can split the dual sided into two separate power meters? I believe you can do this with pioneer but not sure for stages. Yes you can unpair them in the Stages app.